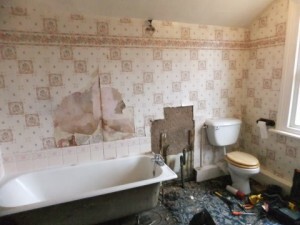 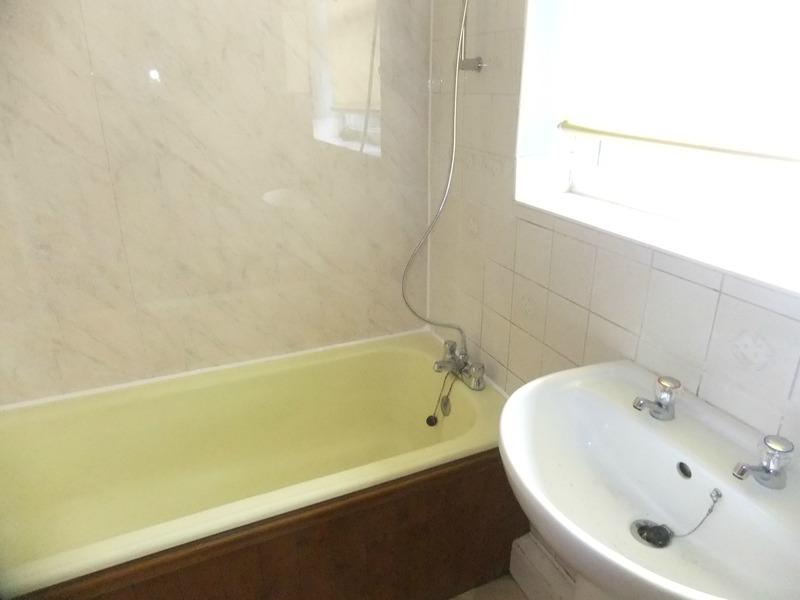 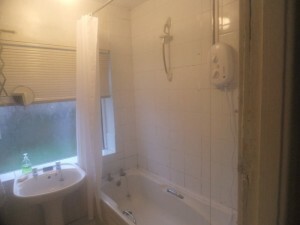 Refurbishment: regrout, new downlights, new flooring, new taps and new bath/shower screen. 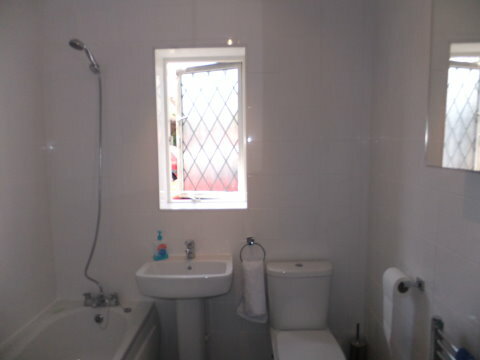 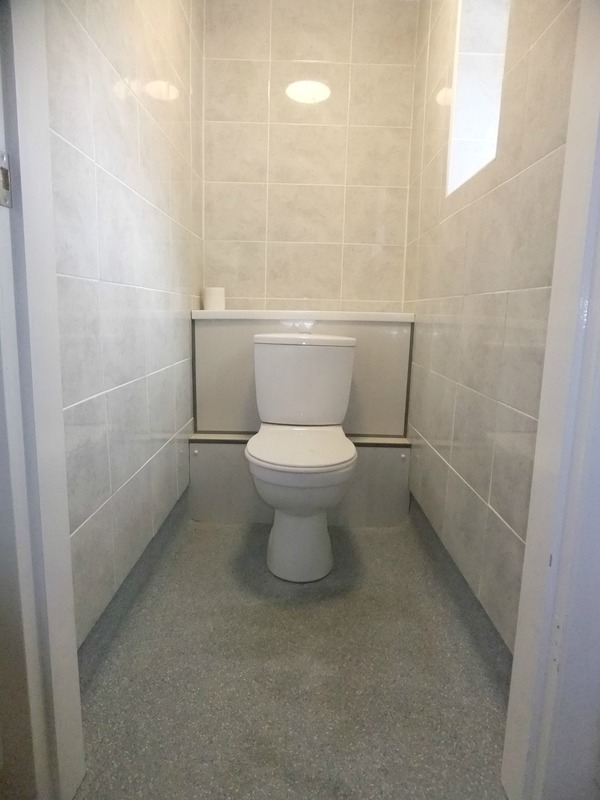 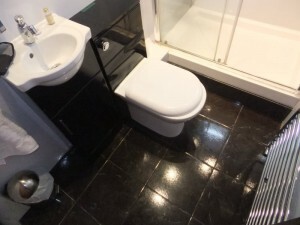 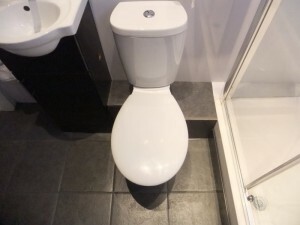 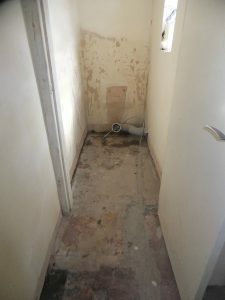 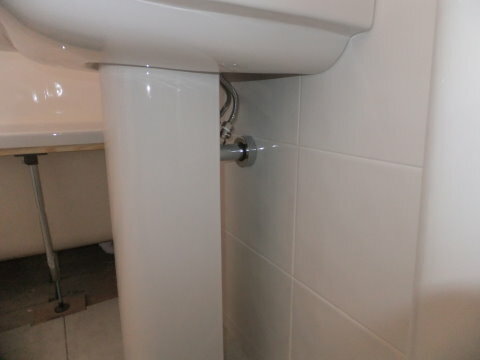 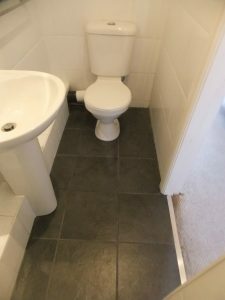 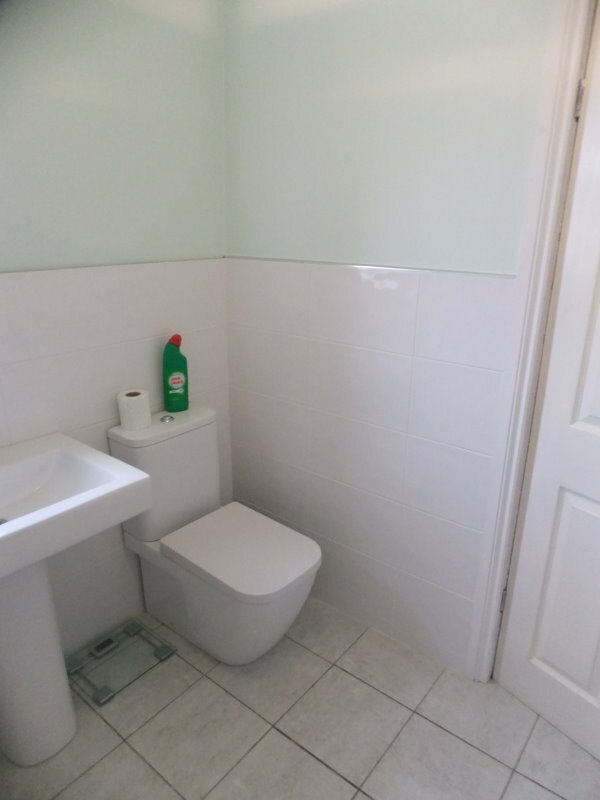 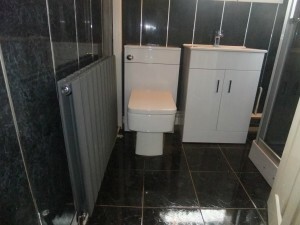 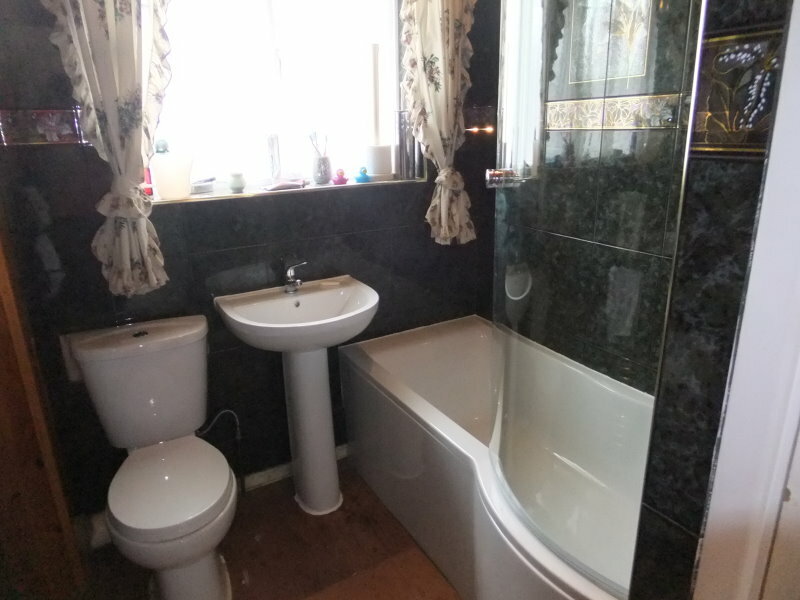 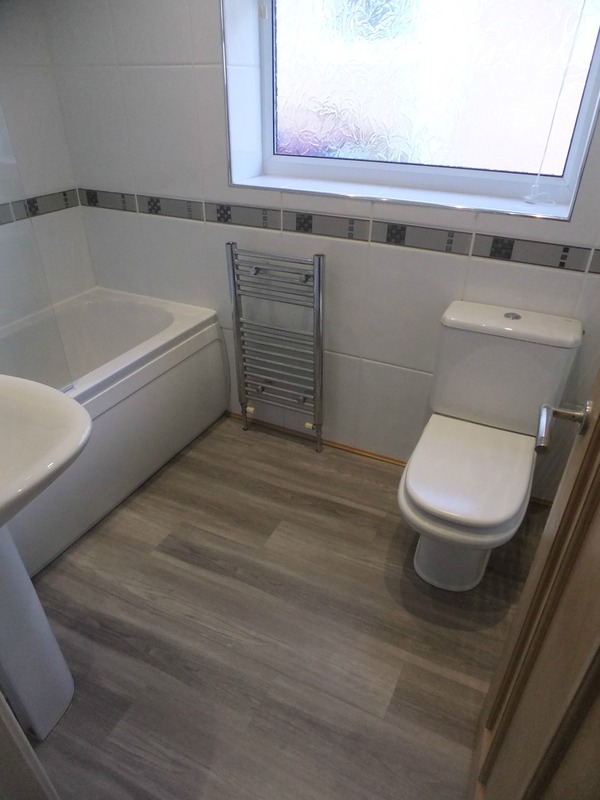 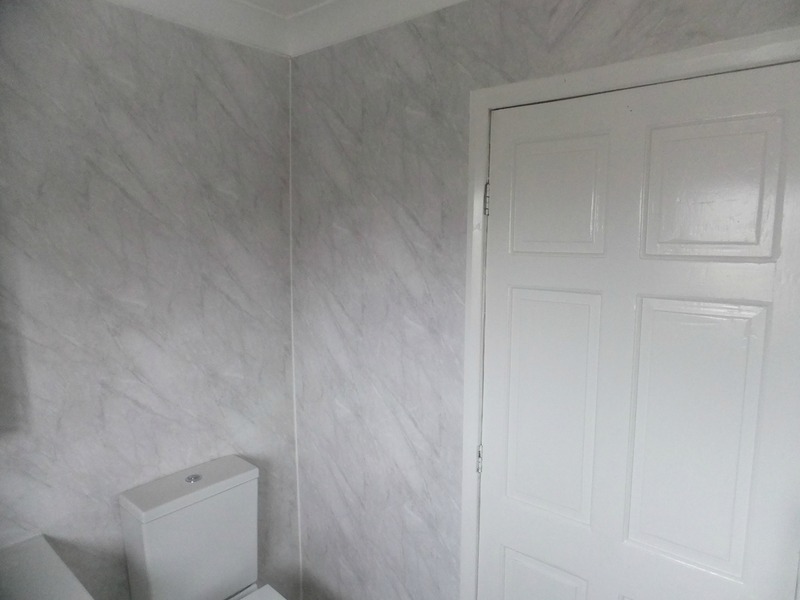 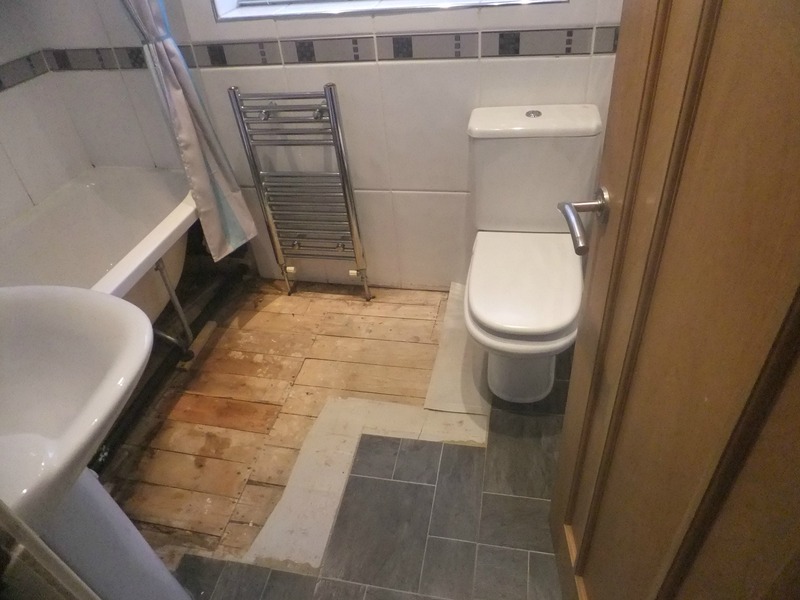 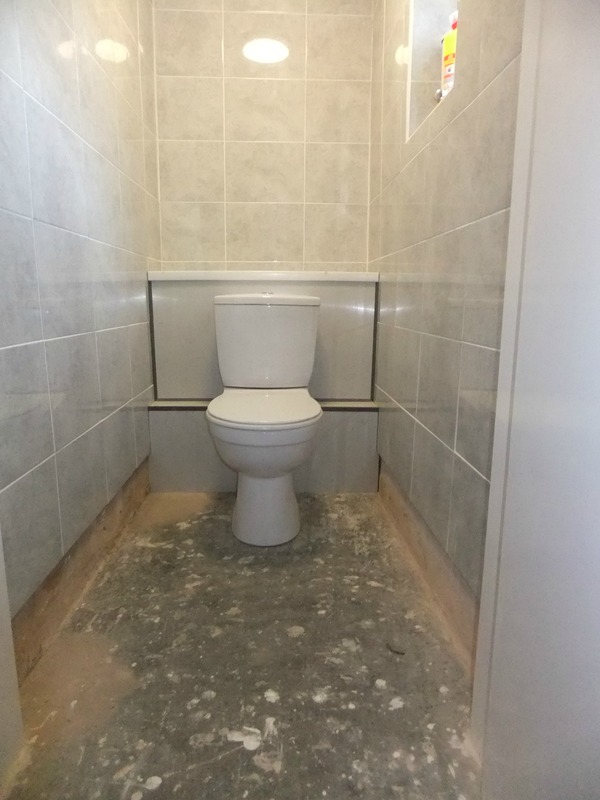 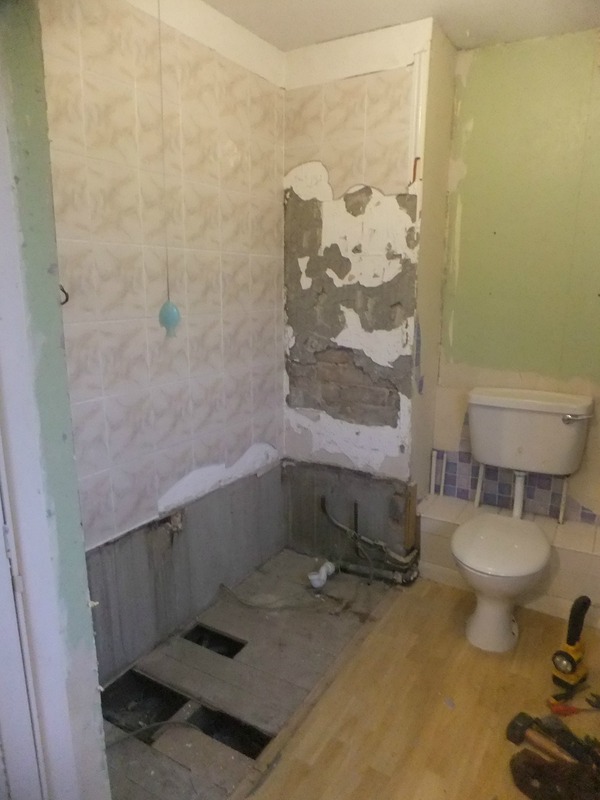 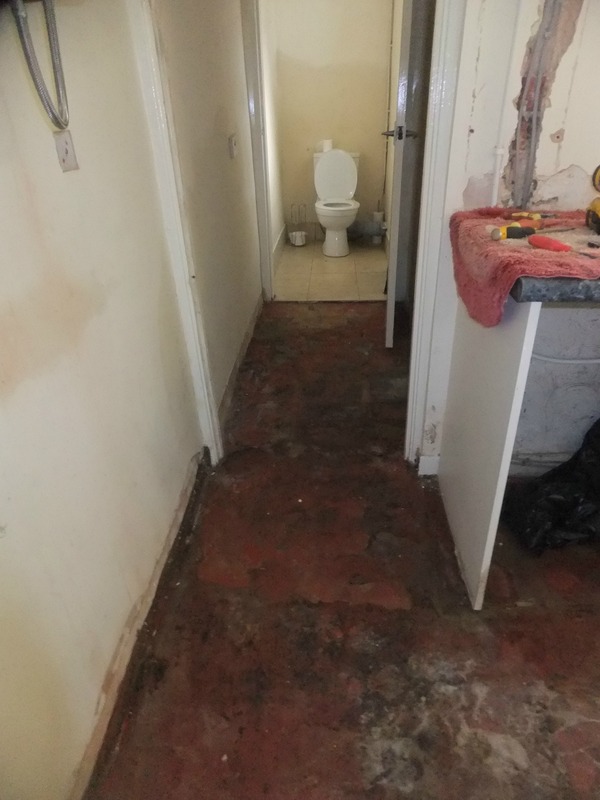 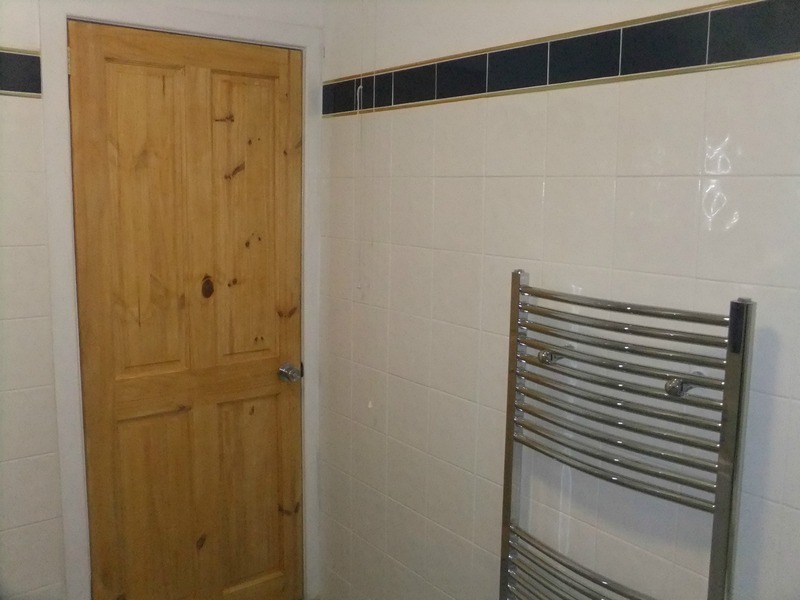 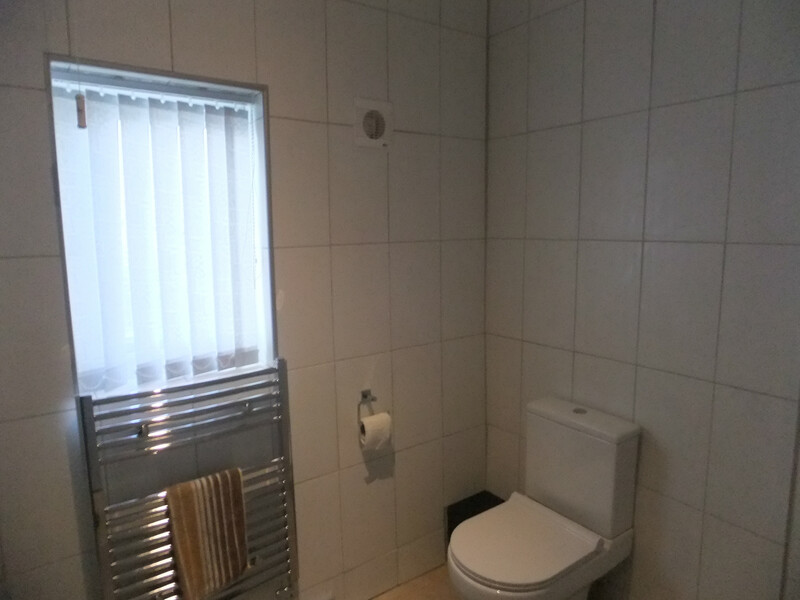 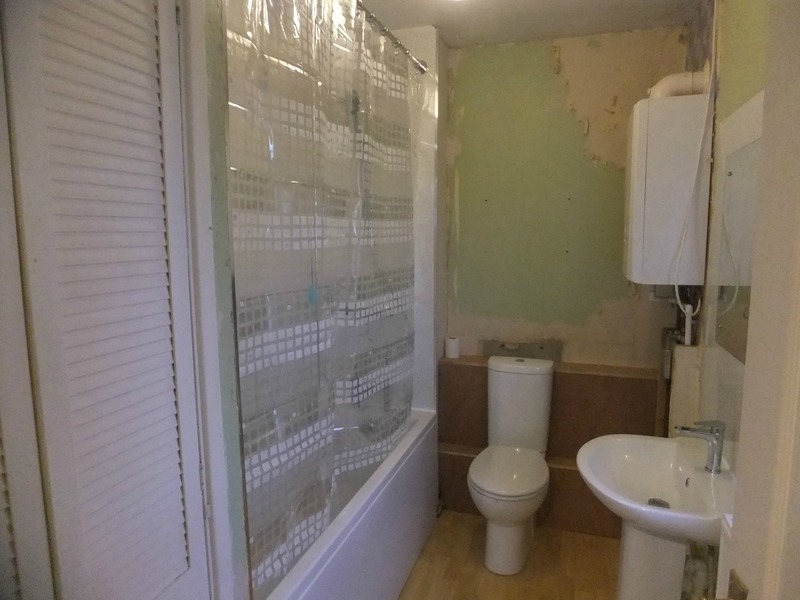 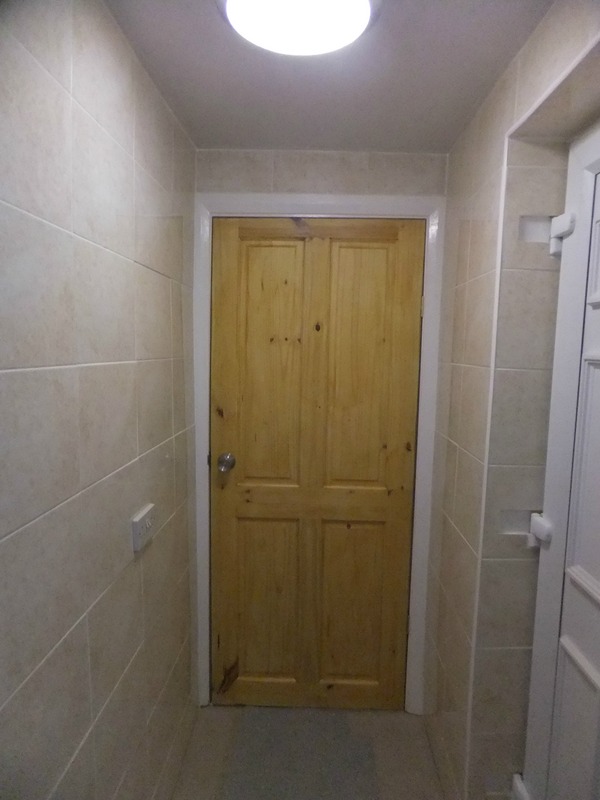 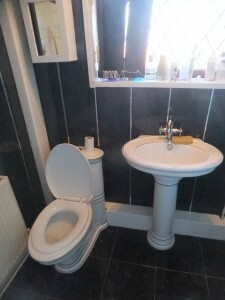 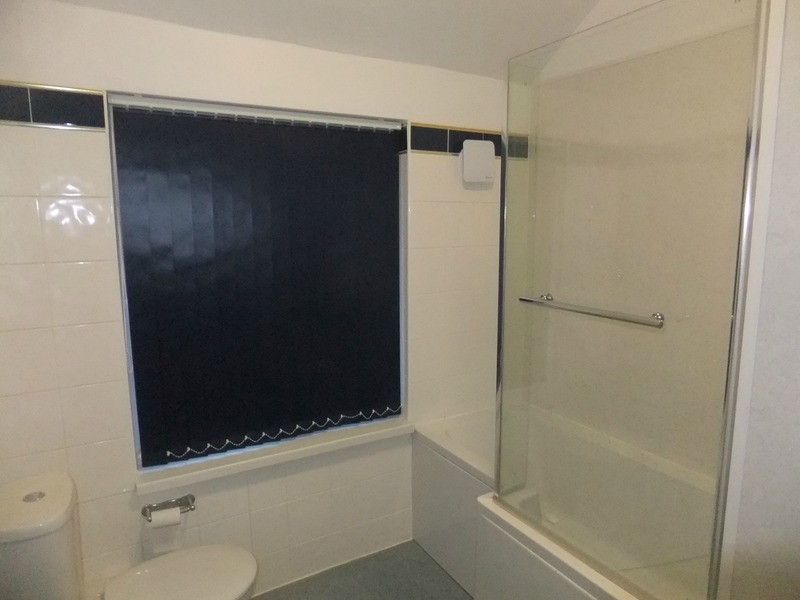 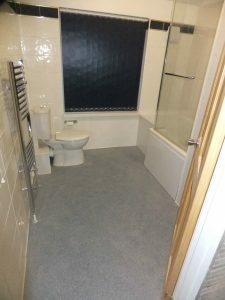 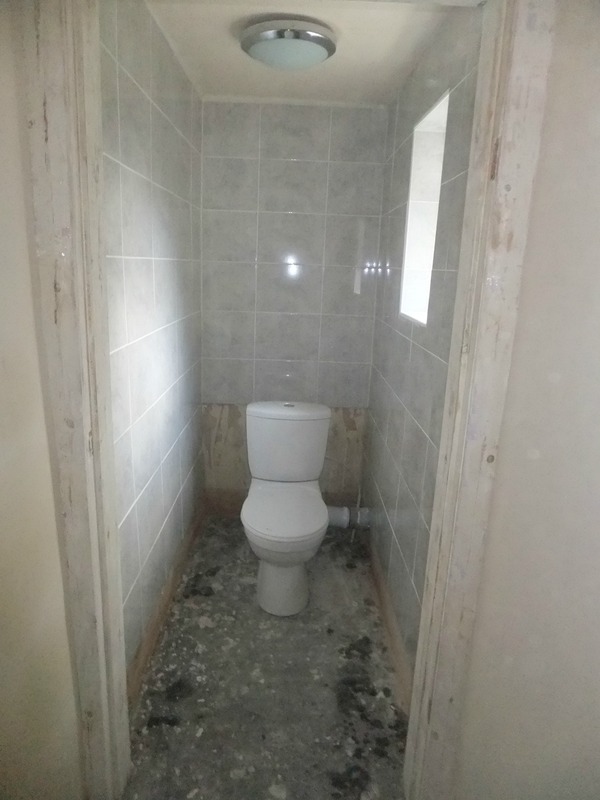 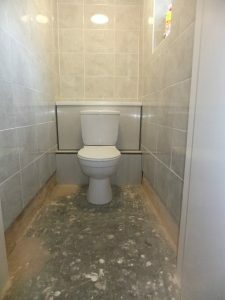 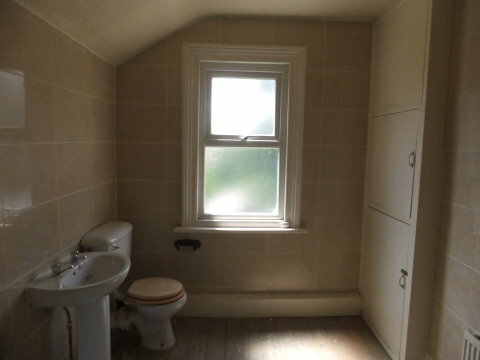 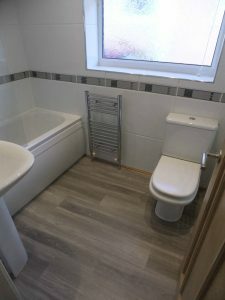 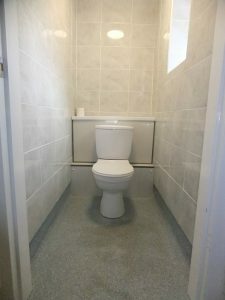 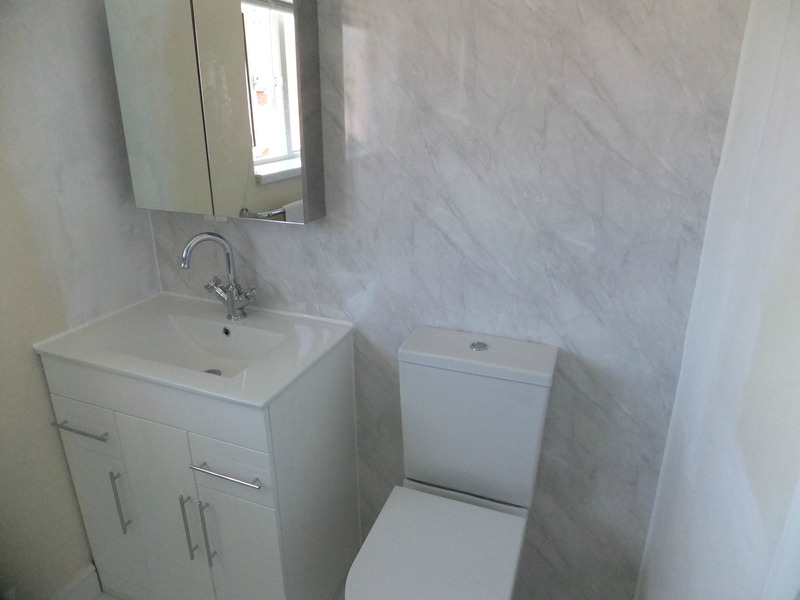 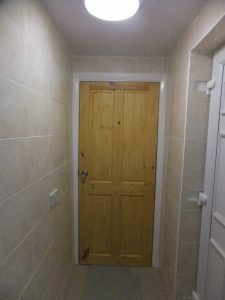 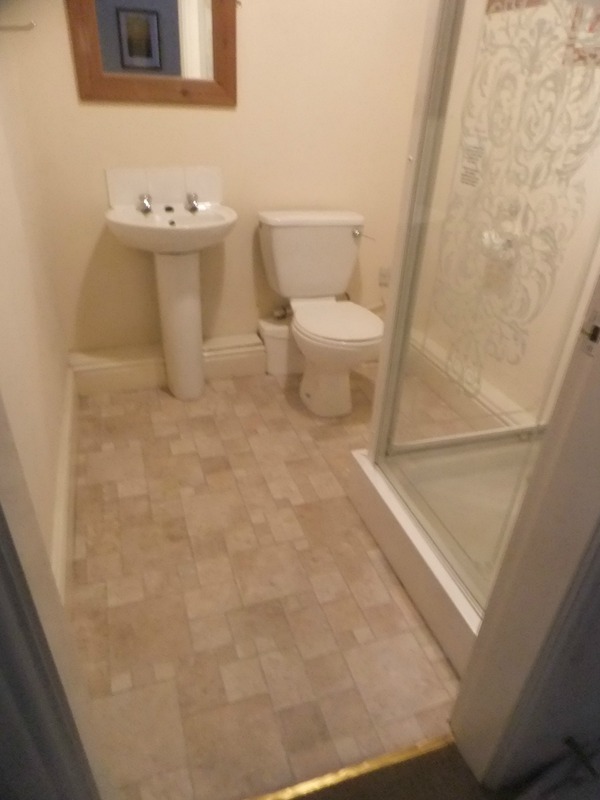 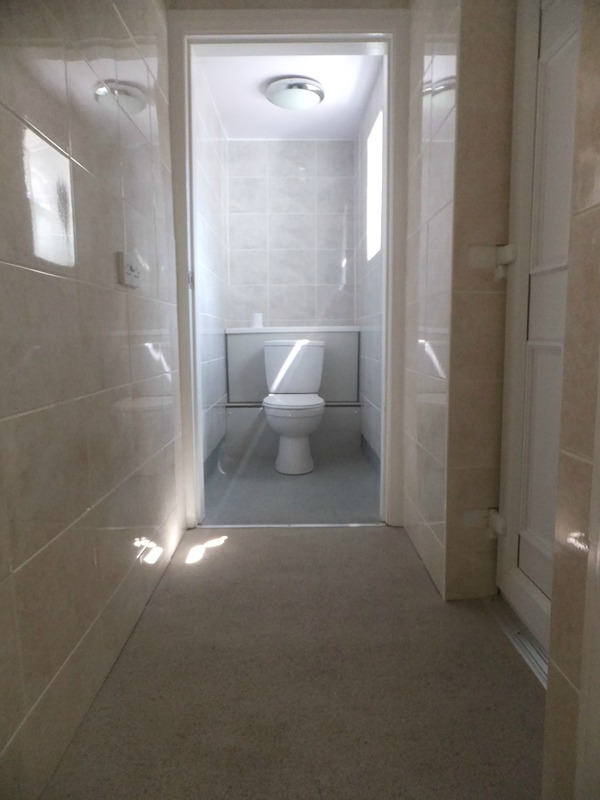 Complete refurbishment of a downstairs toilet and corridor. 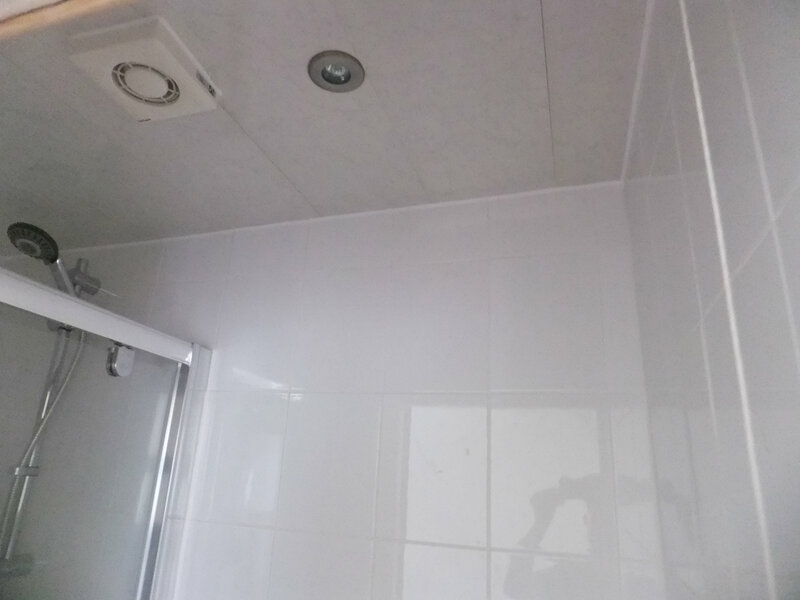 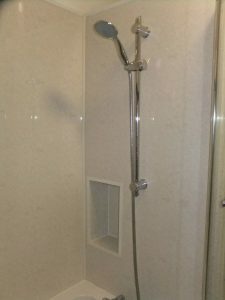 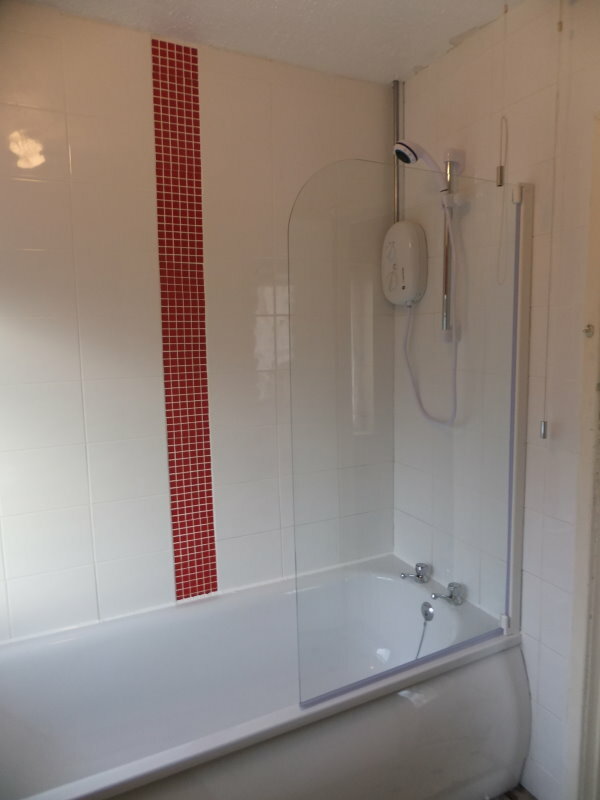 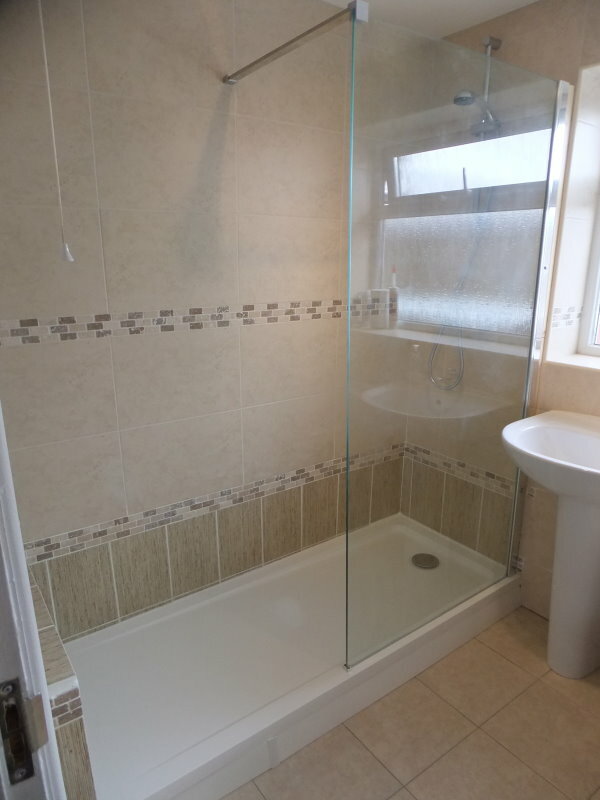 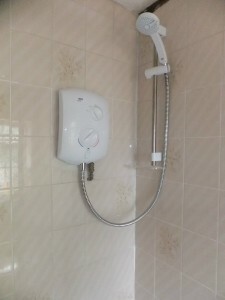 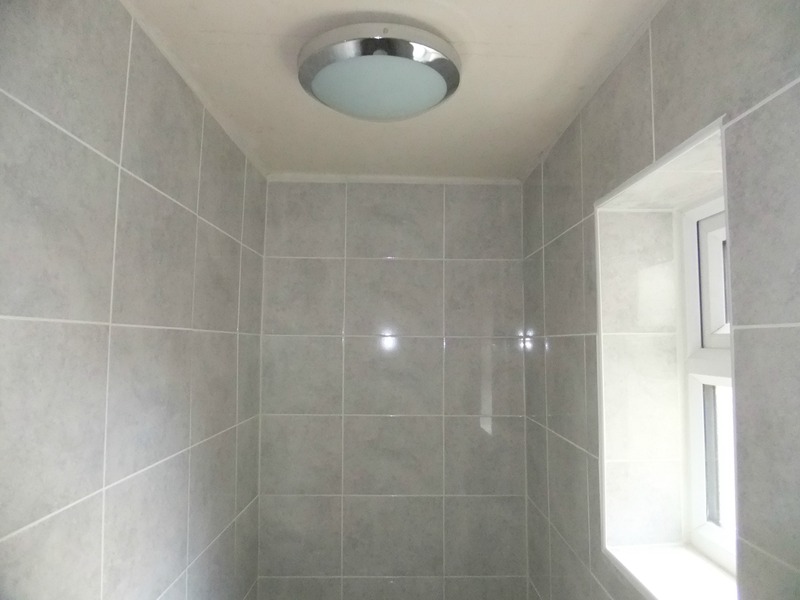 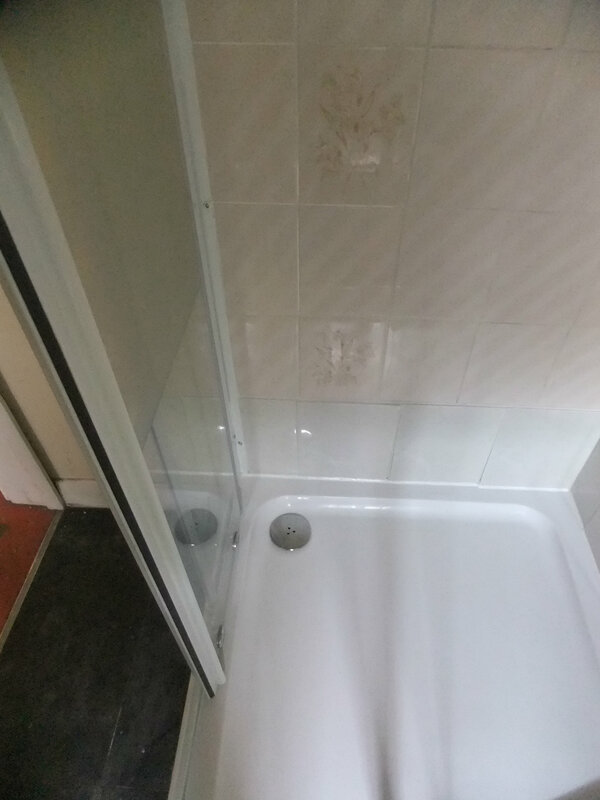 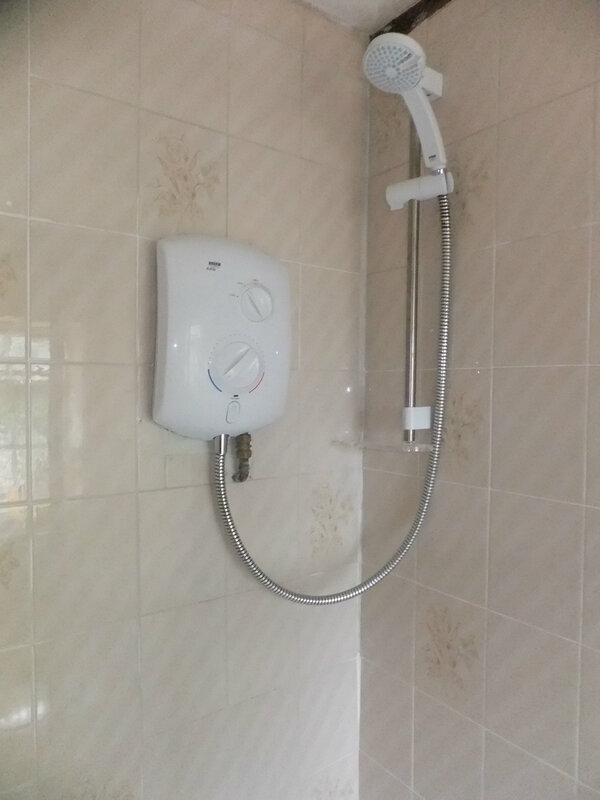 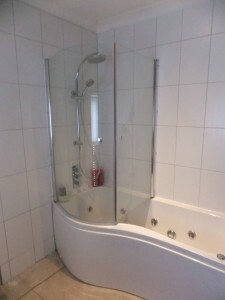 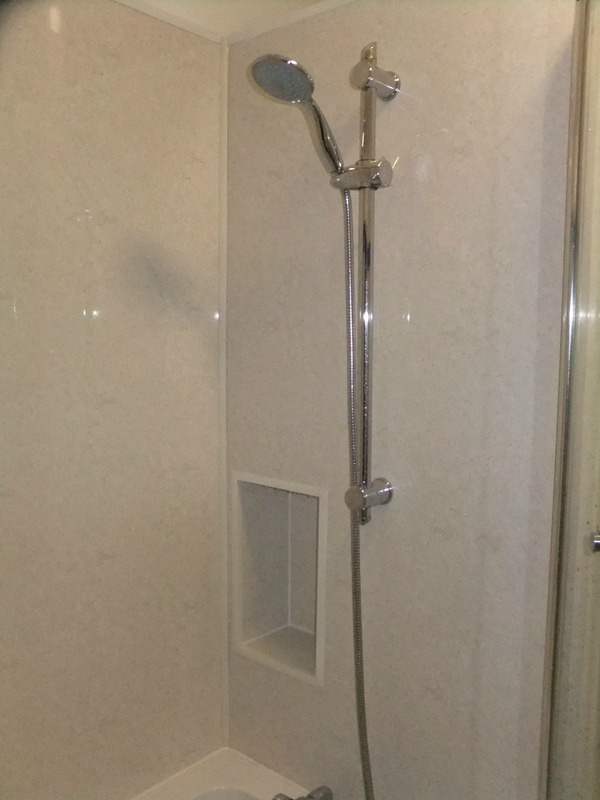 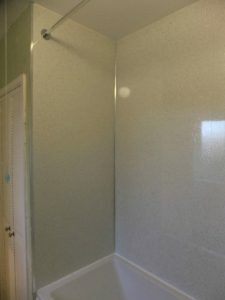 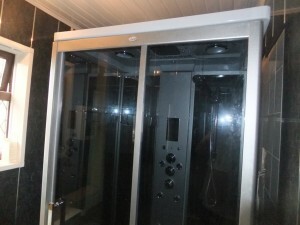 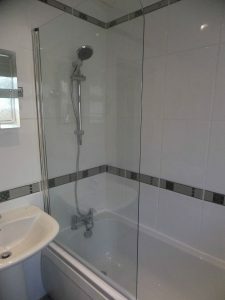 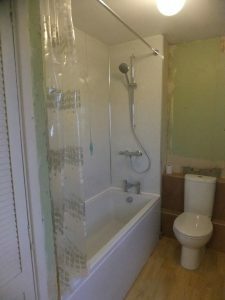 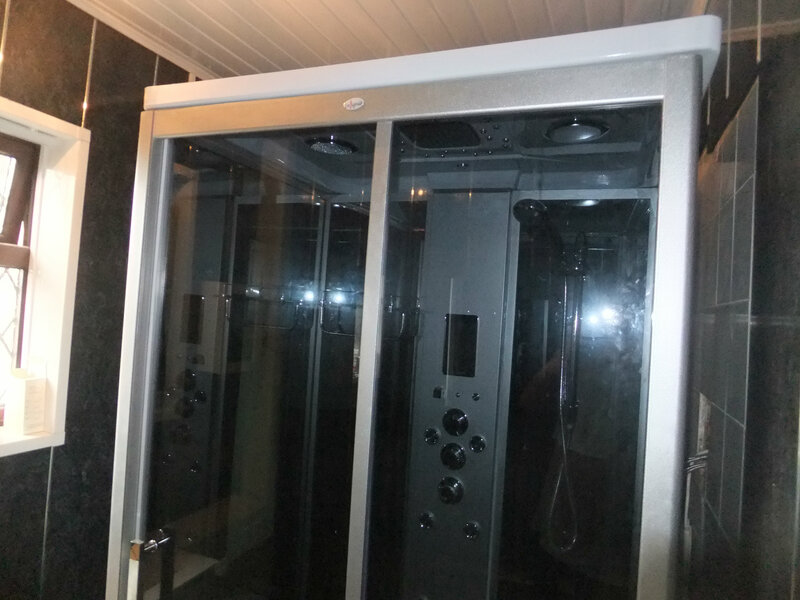 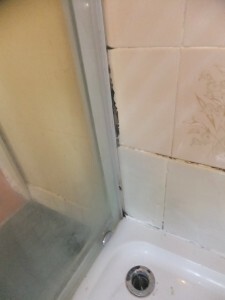 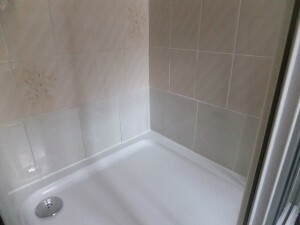 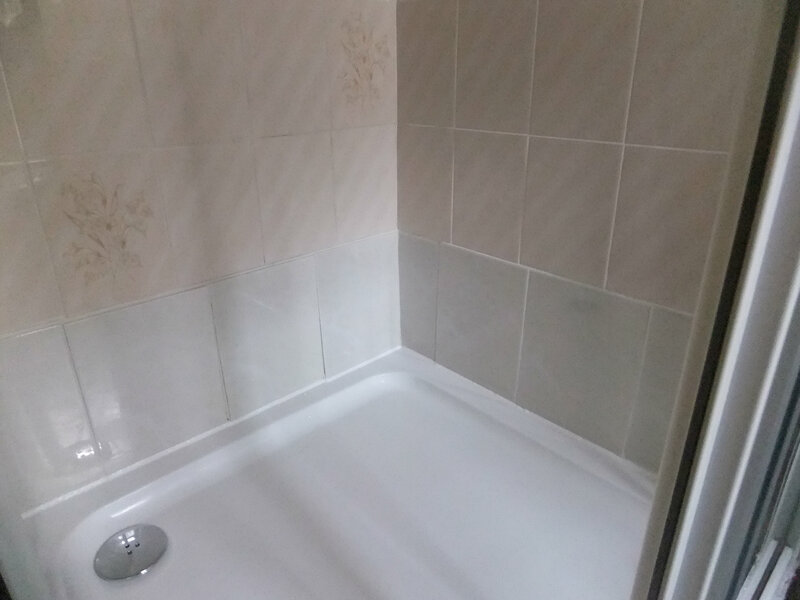 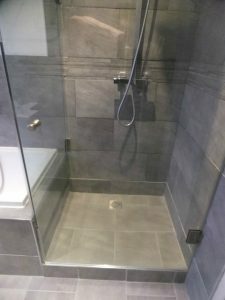 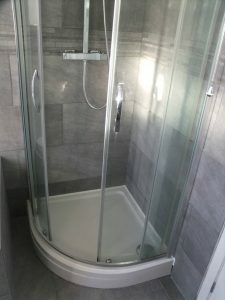 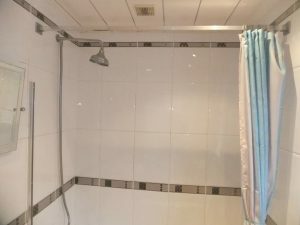 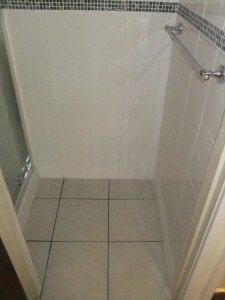 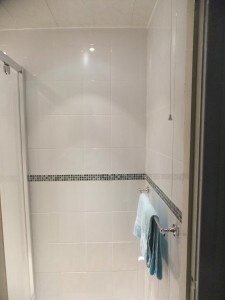 A leaky quadrant shower converted into a mini wet room shower. 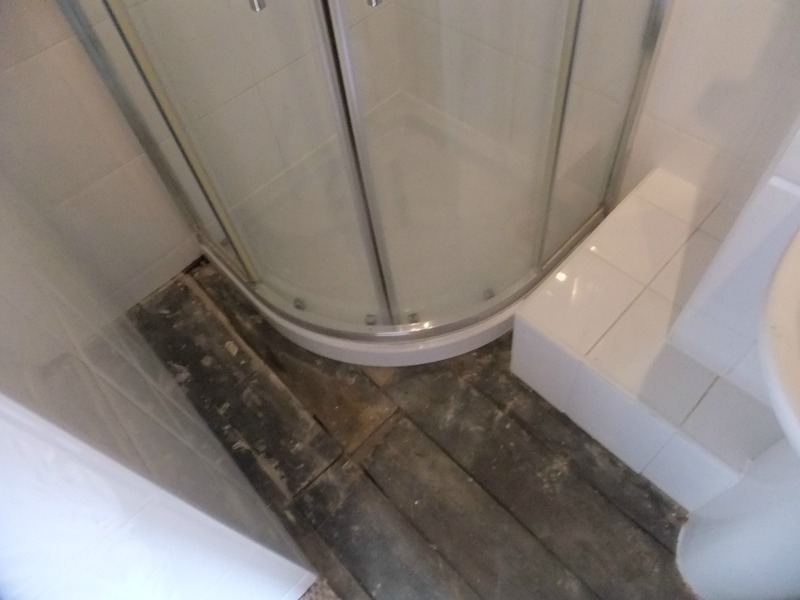 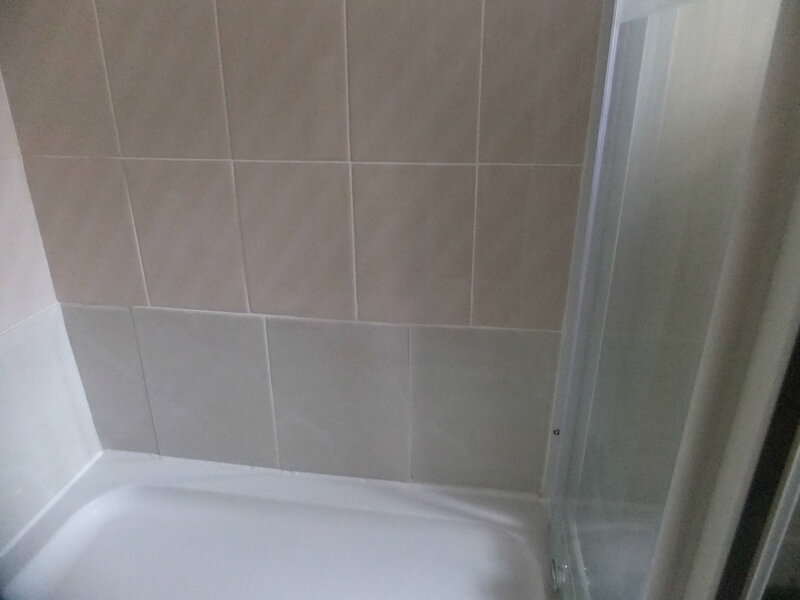 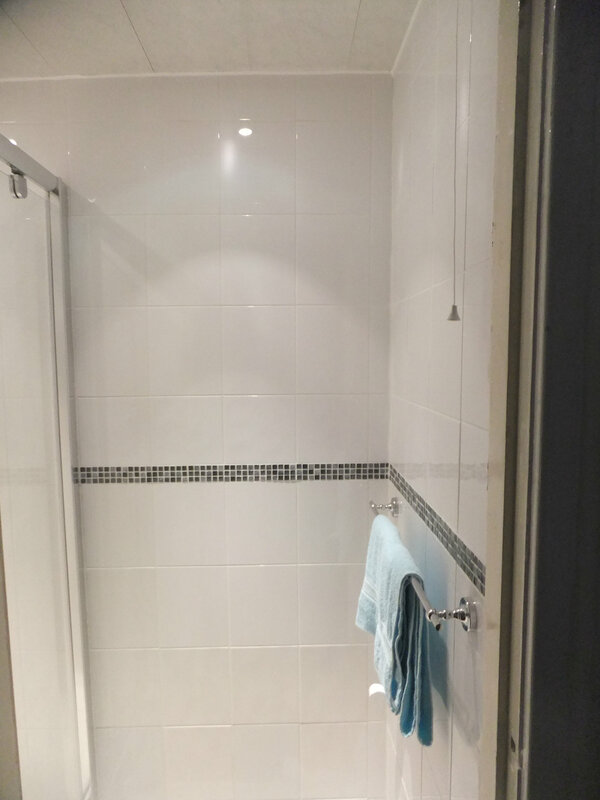 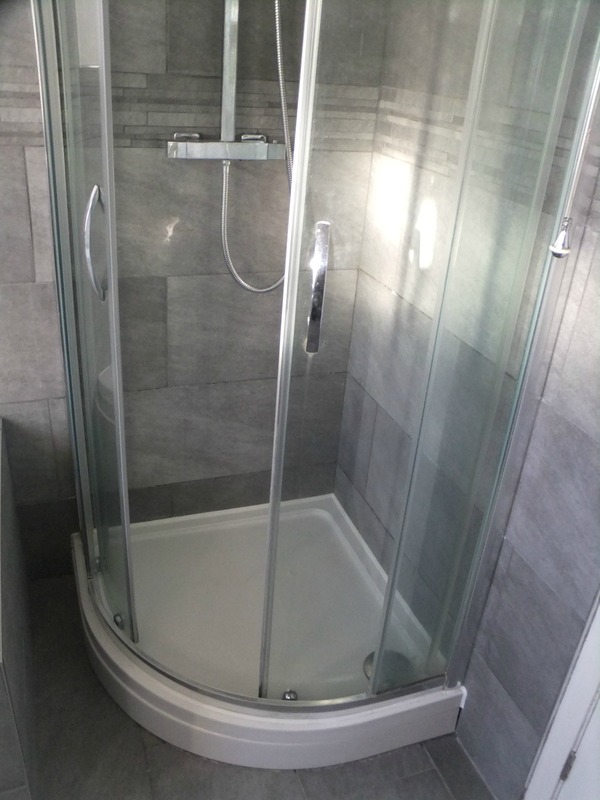 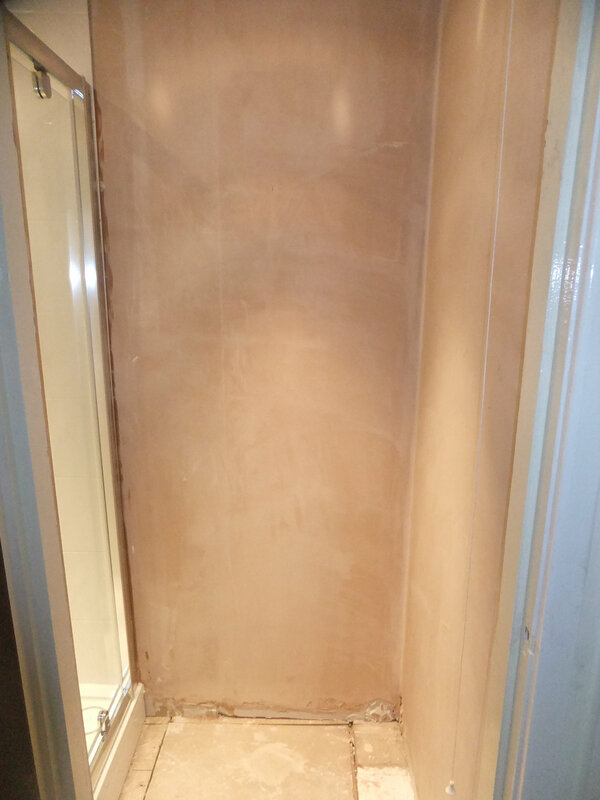 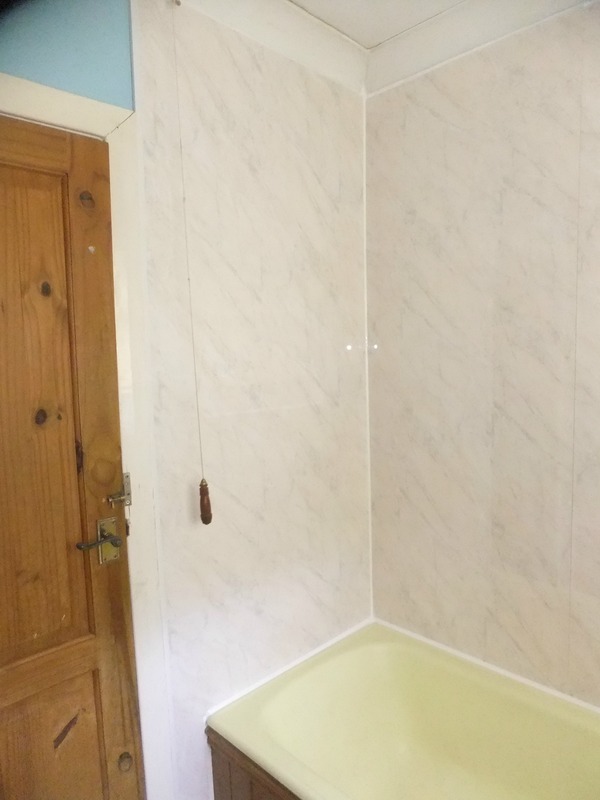 The shower doors have been made to measure to ensure a good fit to the space. 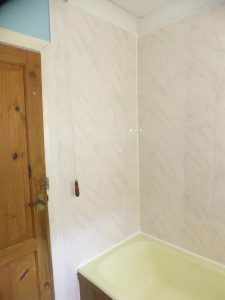 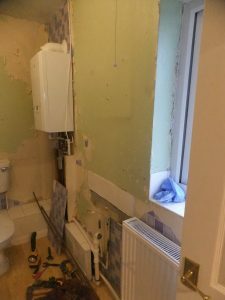 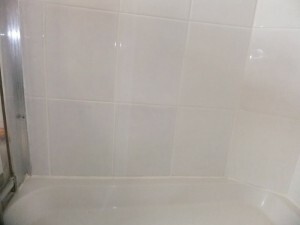 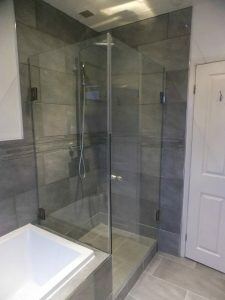 Bathroom refurbishment: tiles replaced by good quality wall panels and an electric shower replaced with a bar mixer shower. 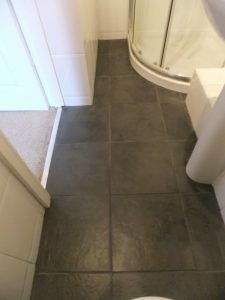 A vinyl floor is quick to install and a relatively cheap way to enhance your bathroom floor. Update tiles in kitchen and add a new hob splashback. 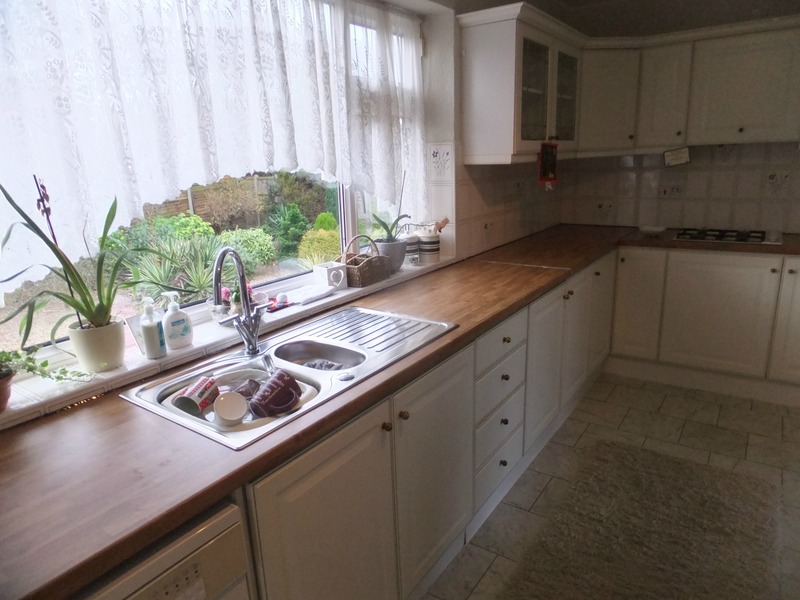 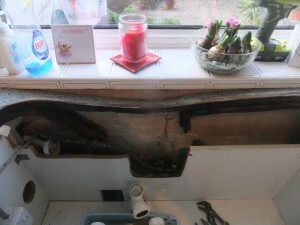 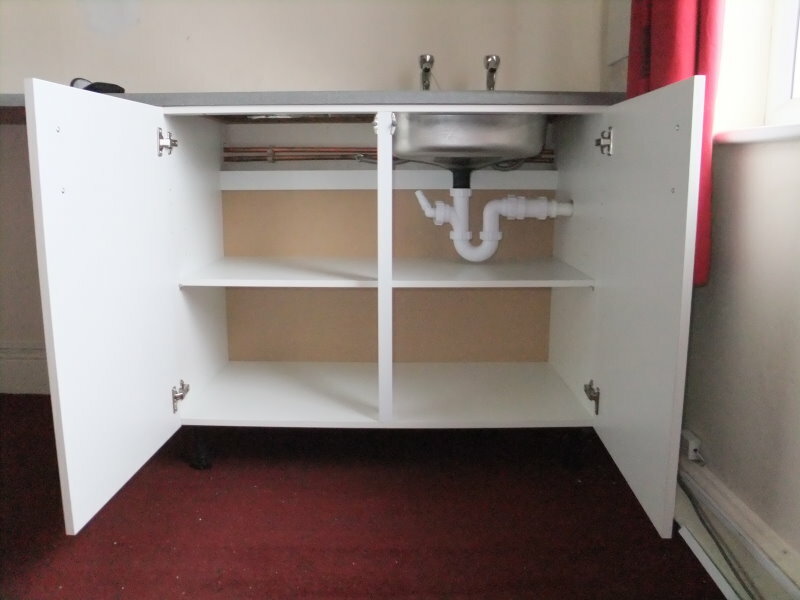 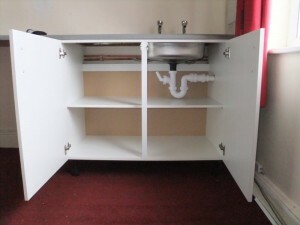 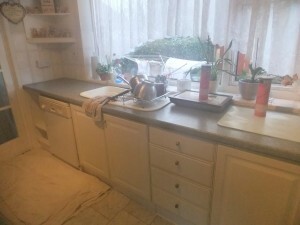 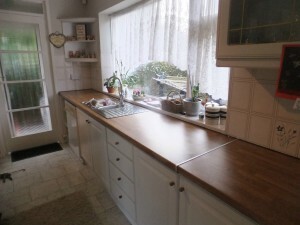 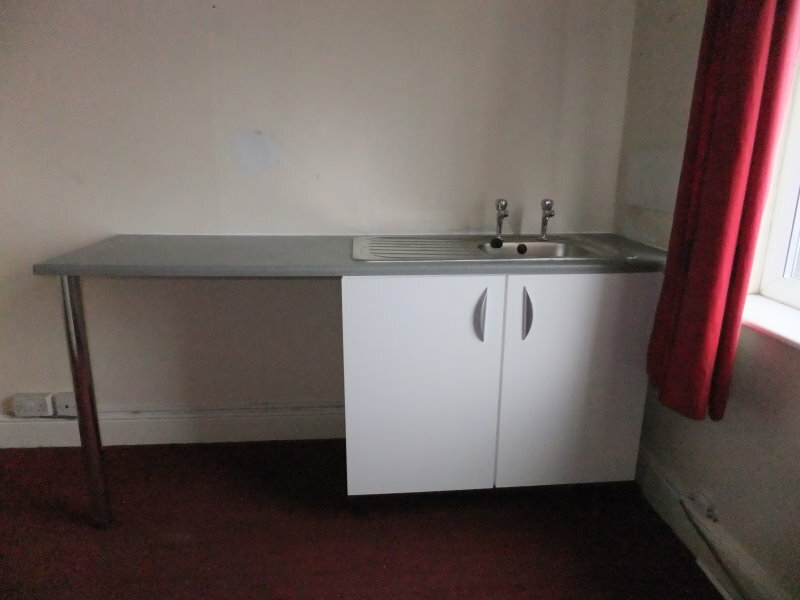 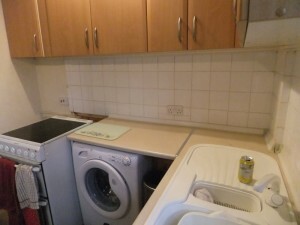 Damaged kitchen sink and worktops replaced. 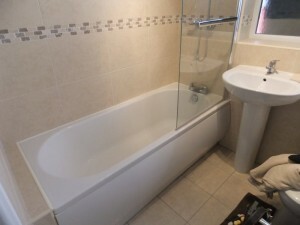 New bathroom suite including a shower cabin. 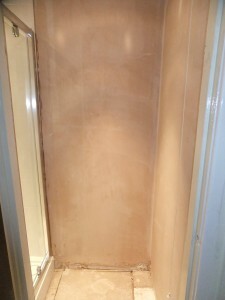 A shower cubicle getting some TLC. 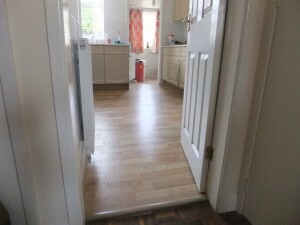 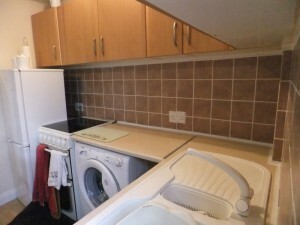 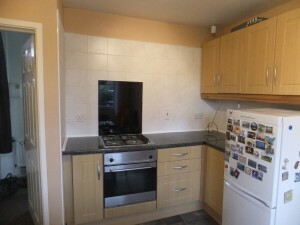 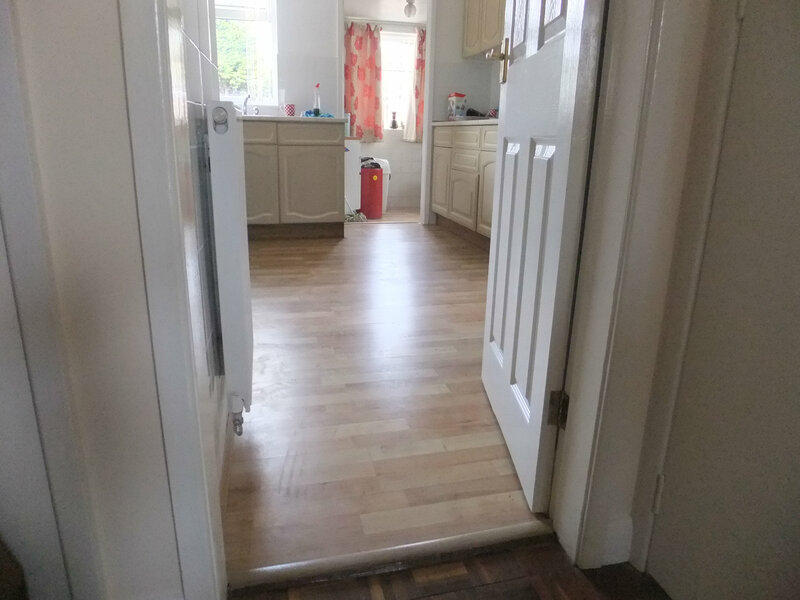 Kitchen and utility rooms transformed by laminate flooring. 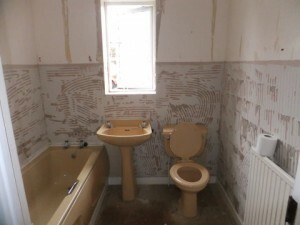 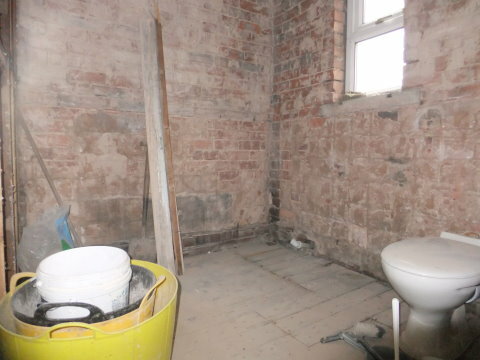 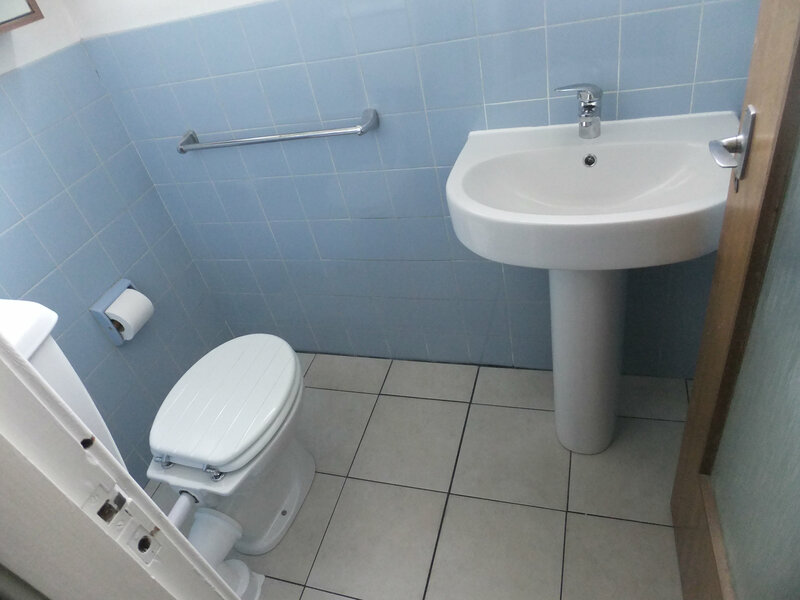 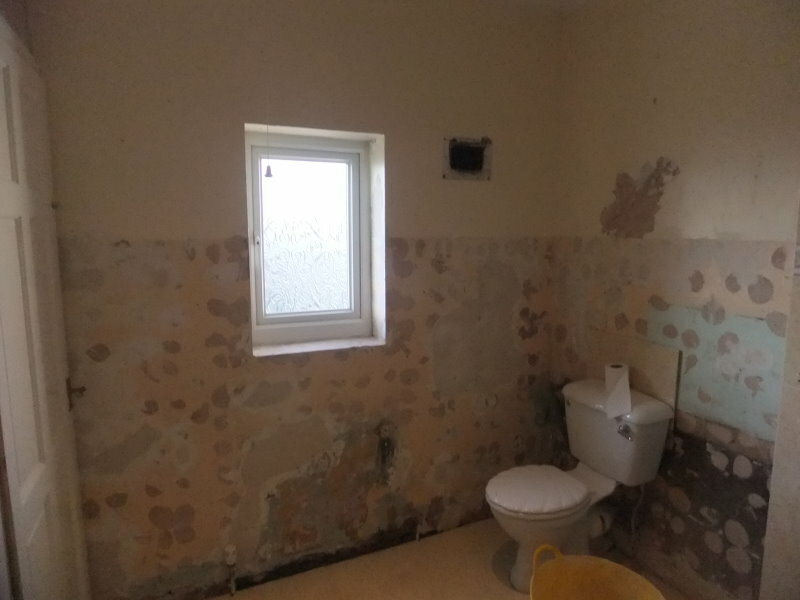 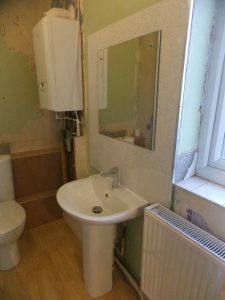 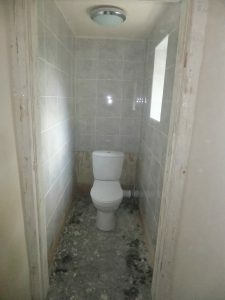 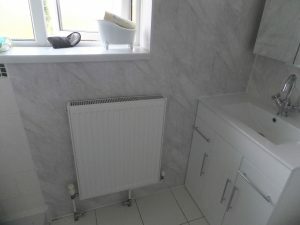 Refurbishment of two small washrooms. 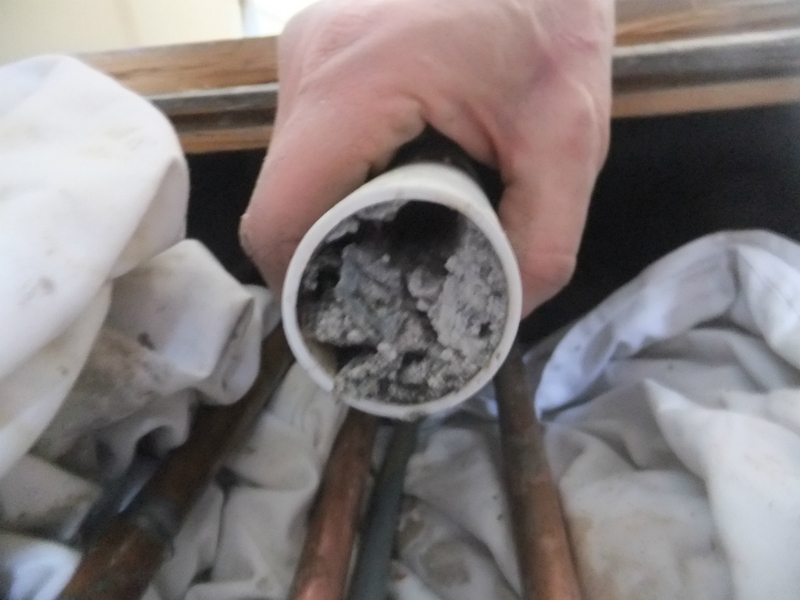 6 metre long kitchen waste pipe with no fall on it will eventually look like this (and stop working). 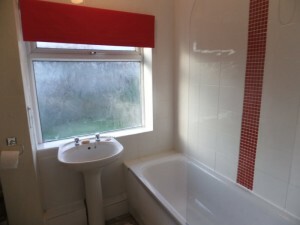 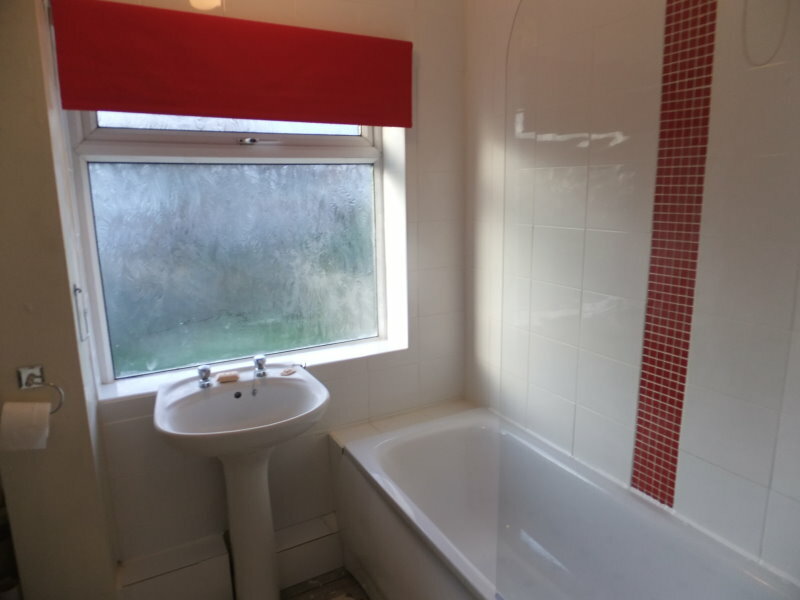 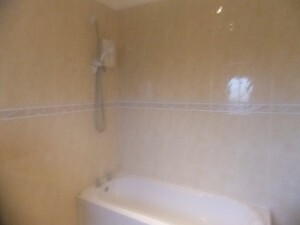 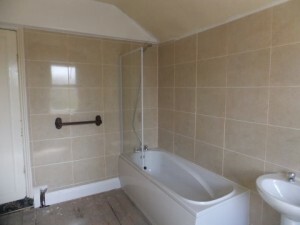 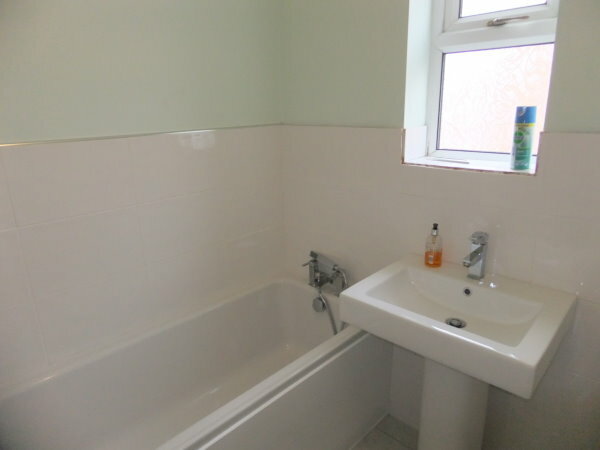 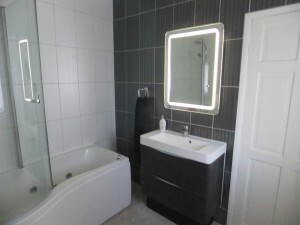 Complete bathroom refurbishment. 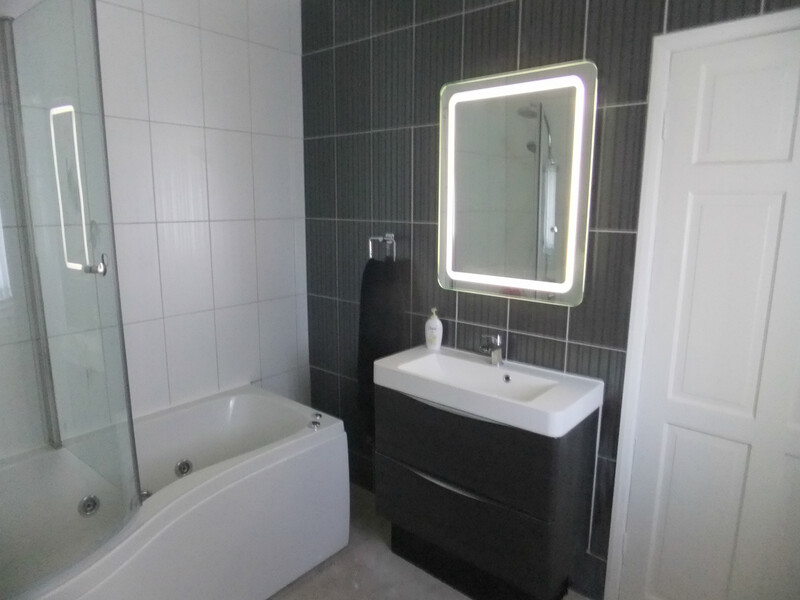 Whirlpool bath, cabinet hand basin with movement sensor mirror, new toilet and towel rail. 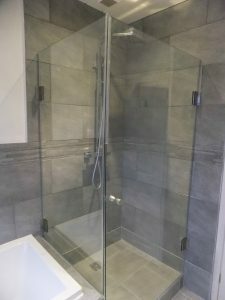 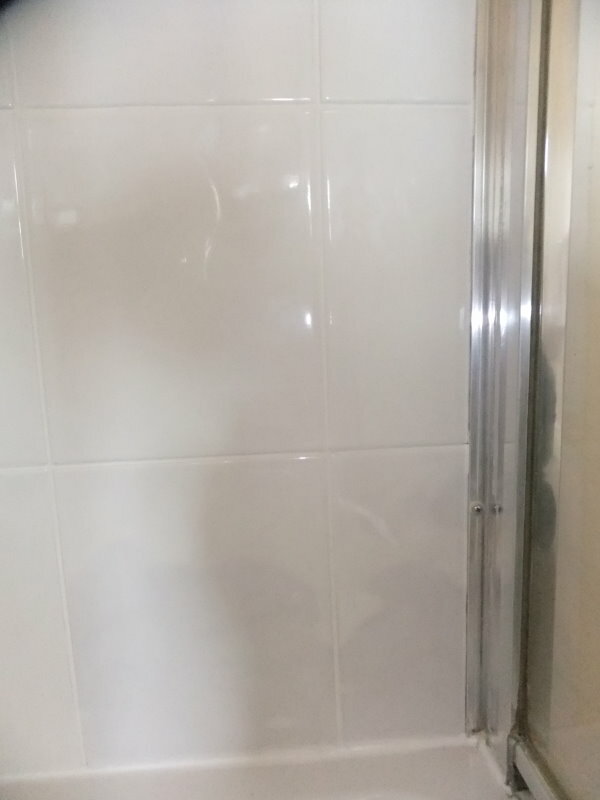 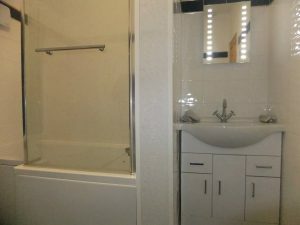 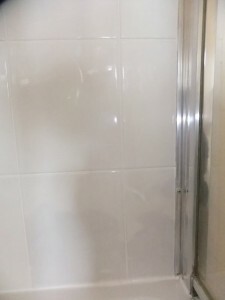 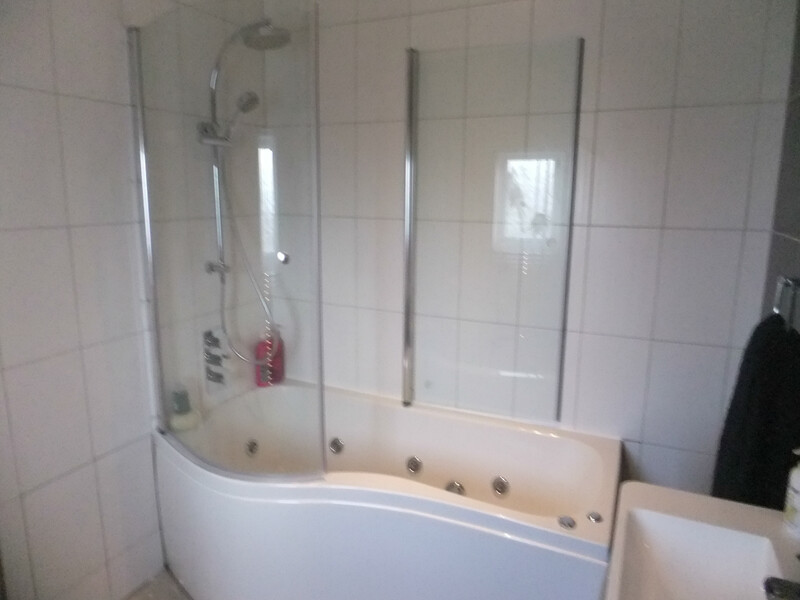 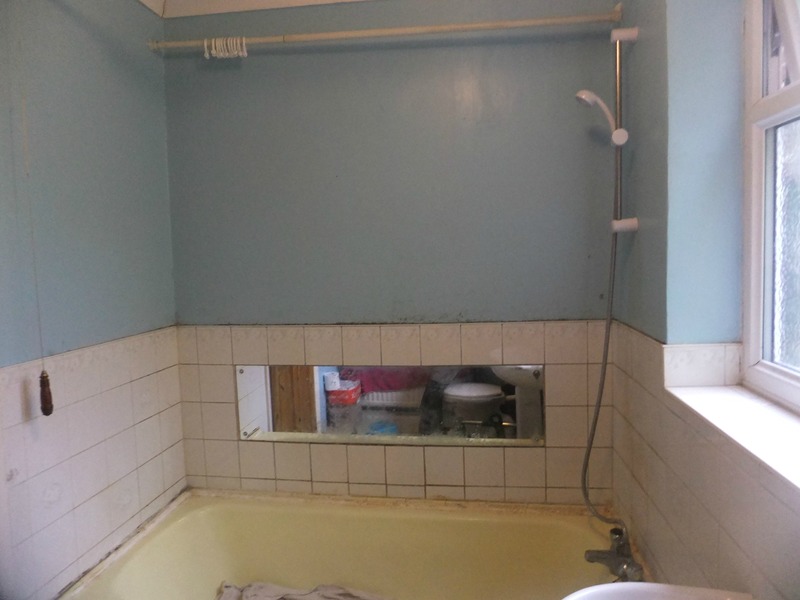 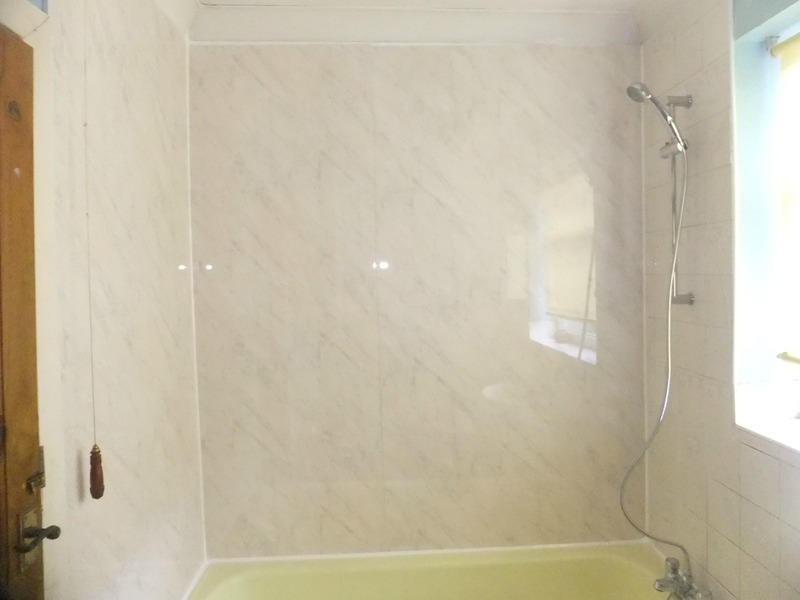 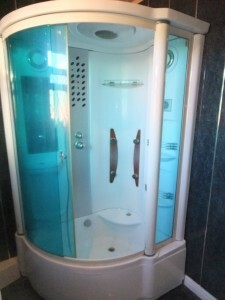 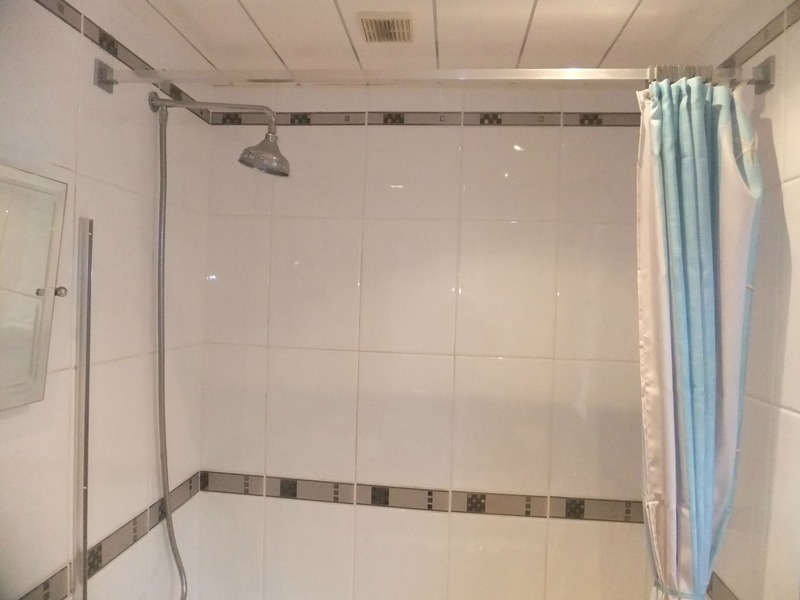 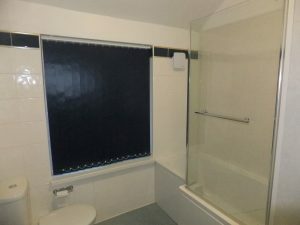 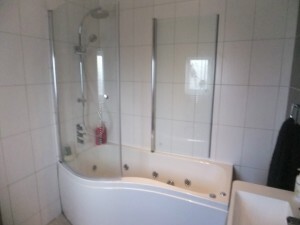 The two shower screens are to give a near as possible shower experience in a bath. 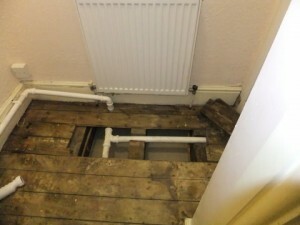 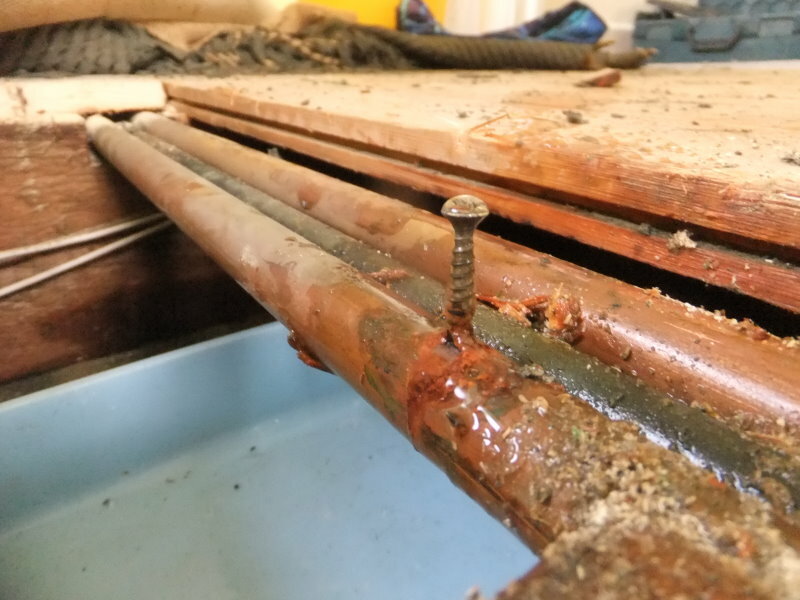 Take care when securing floorboards. 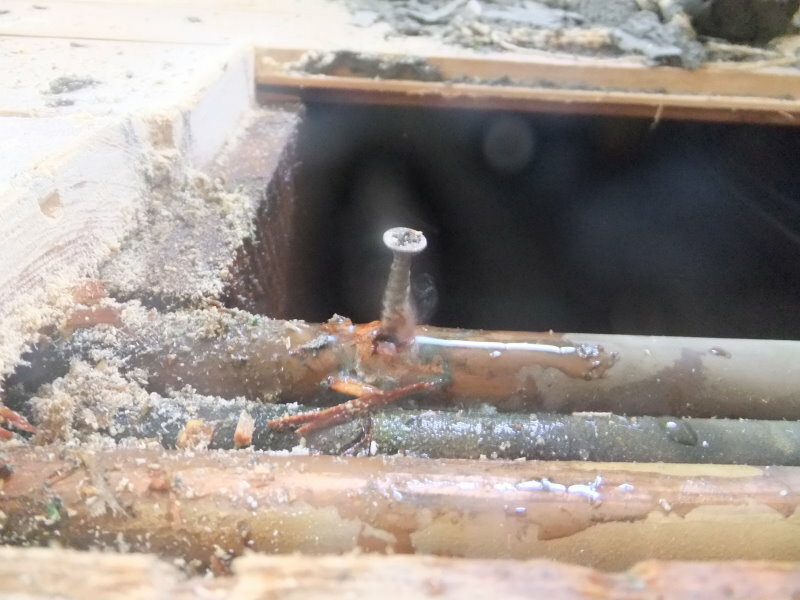 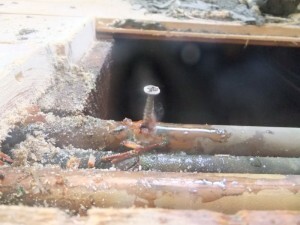 Make sure the screw/nail hits a joist not a pipe. 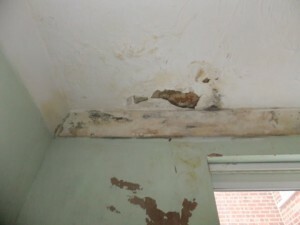 It took several weeks for this leak to show itself through the kitchen ceiling. 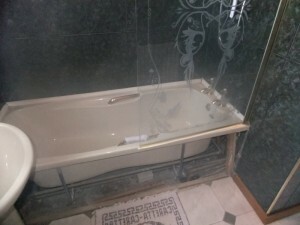 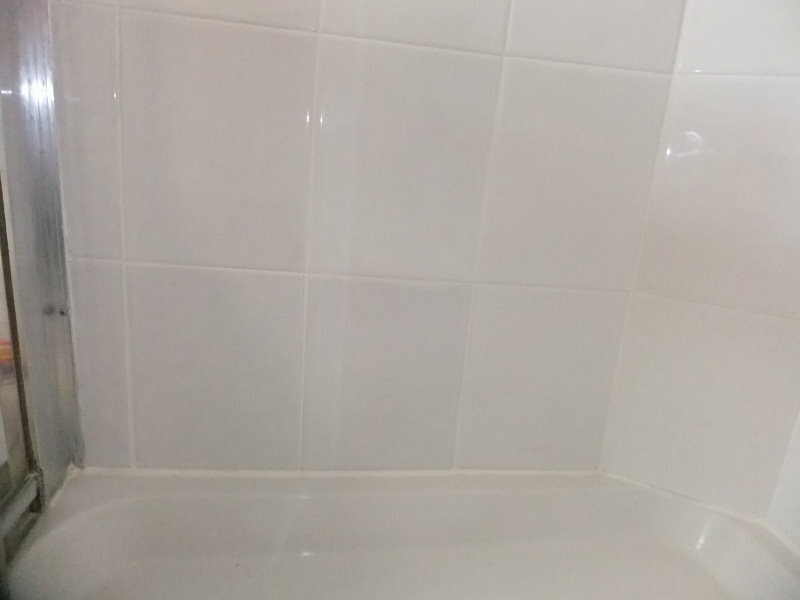 Replace bath with shower tray. 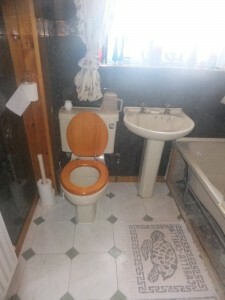 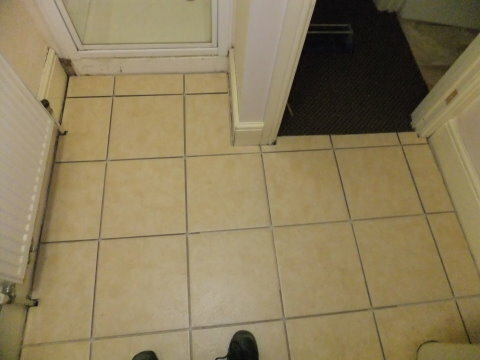 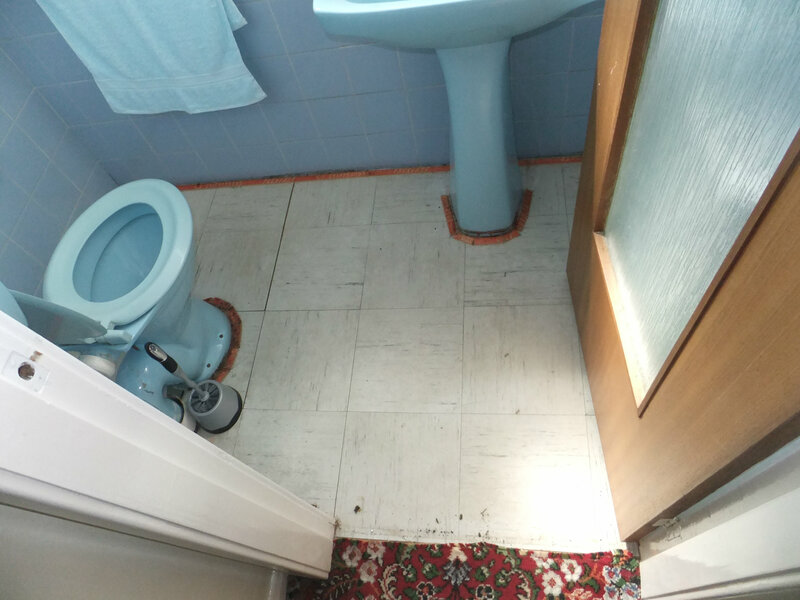 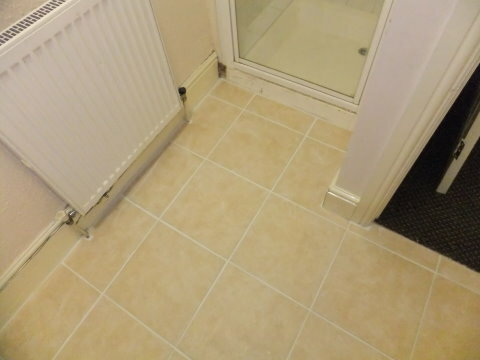 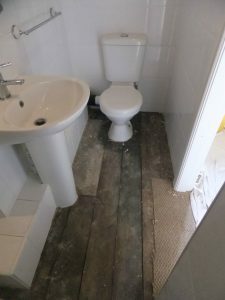 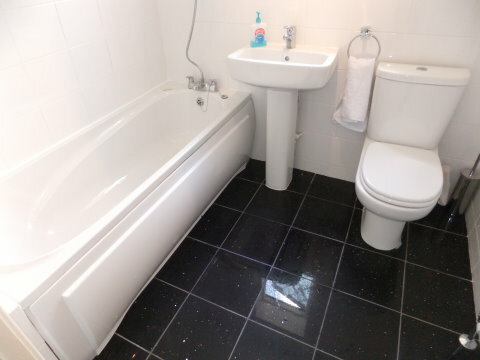 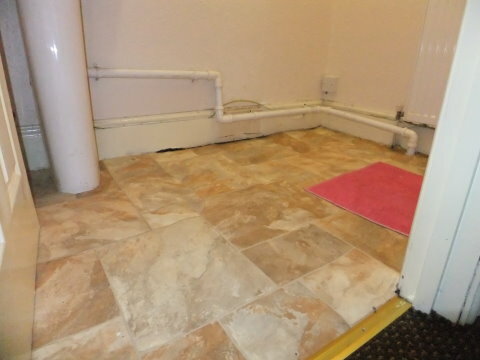 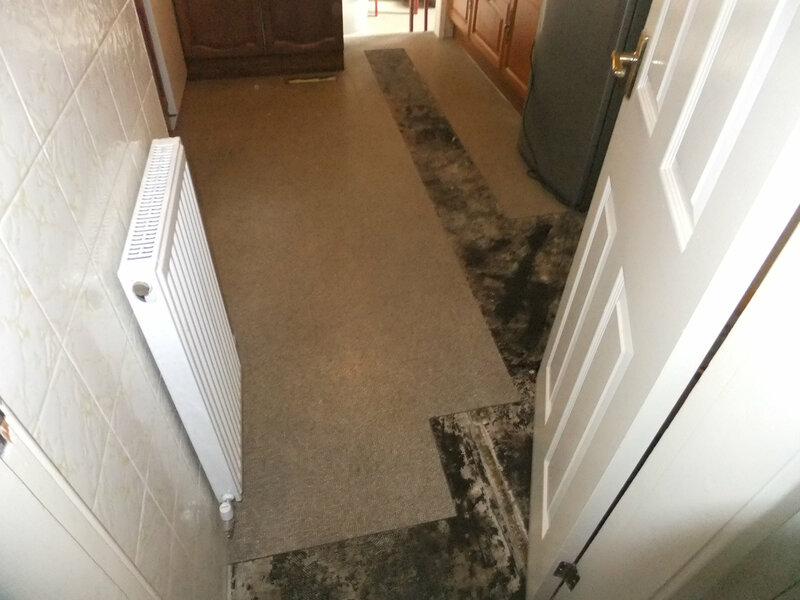 Floor re-tiled with non-slip tiles and the leaky toilet replaced. 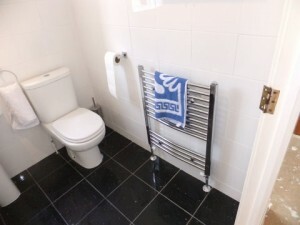 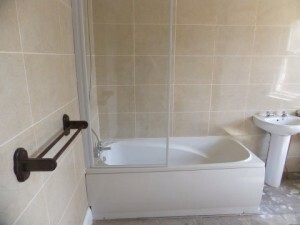 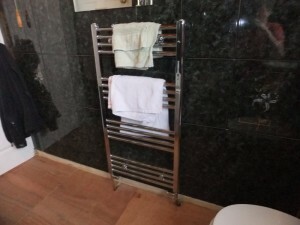 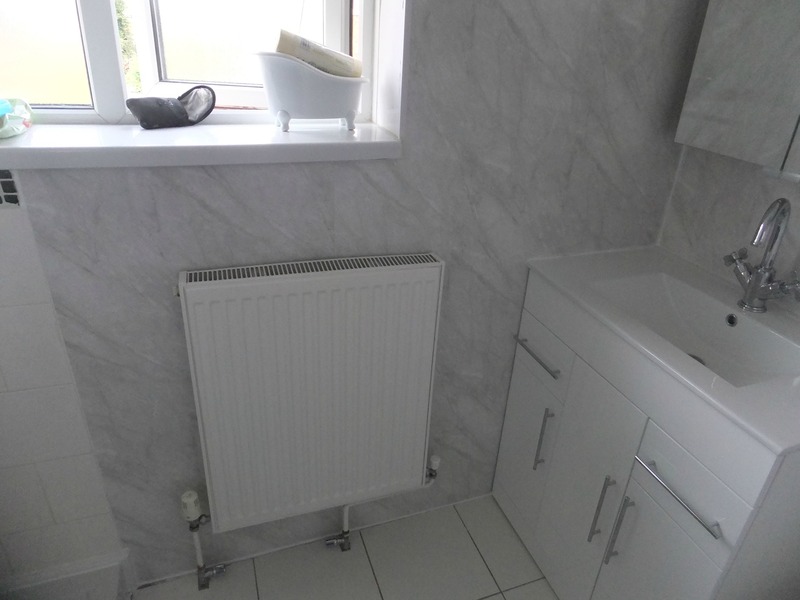 New bath, basin, toilet and towel rail. 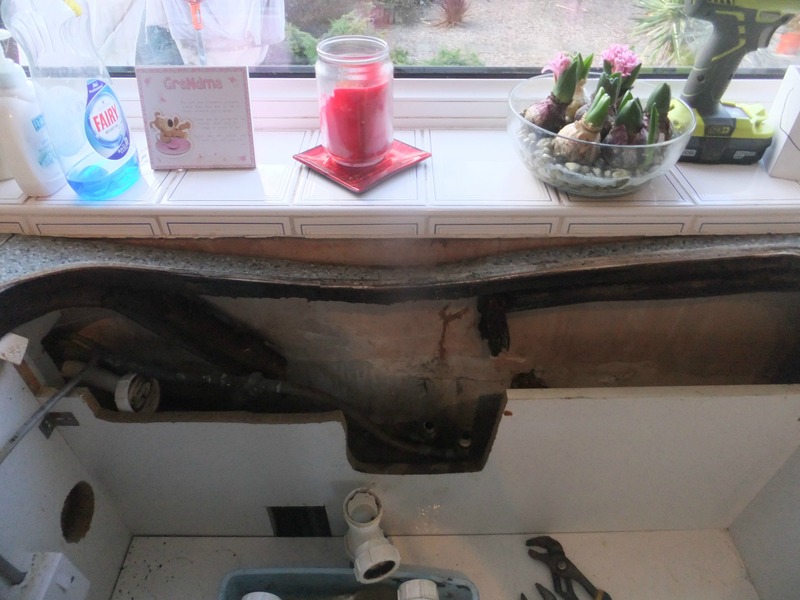 Tricky bath as both ends were embedded into the wall. 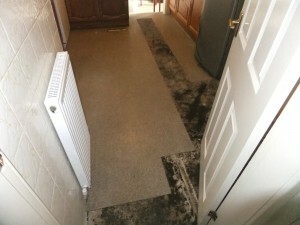 Floor prepared for carpeting. 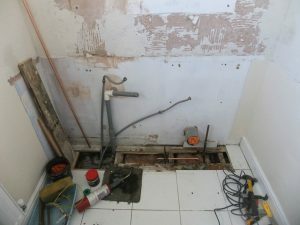 Have been doing a lot of this type of work in the last few months. 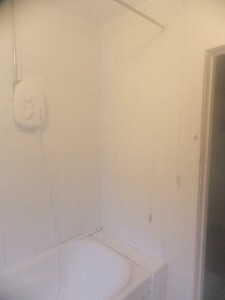 Re-grouting and general smarting up of bathrooms and shower cubicles. 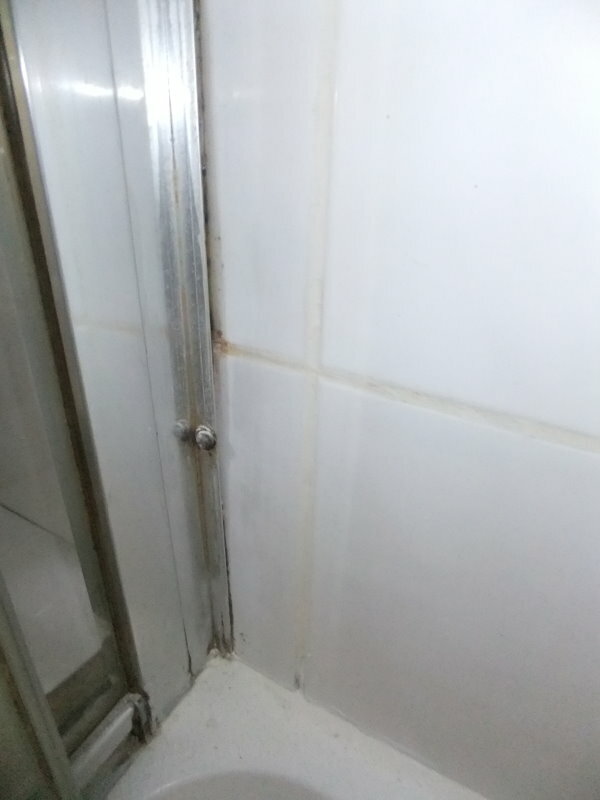 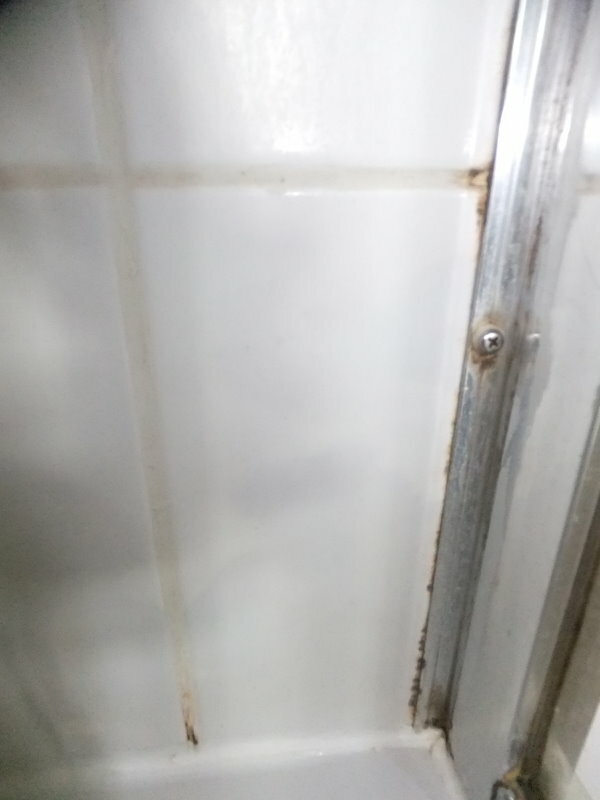 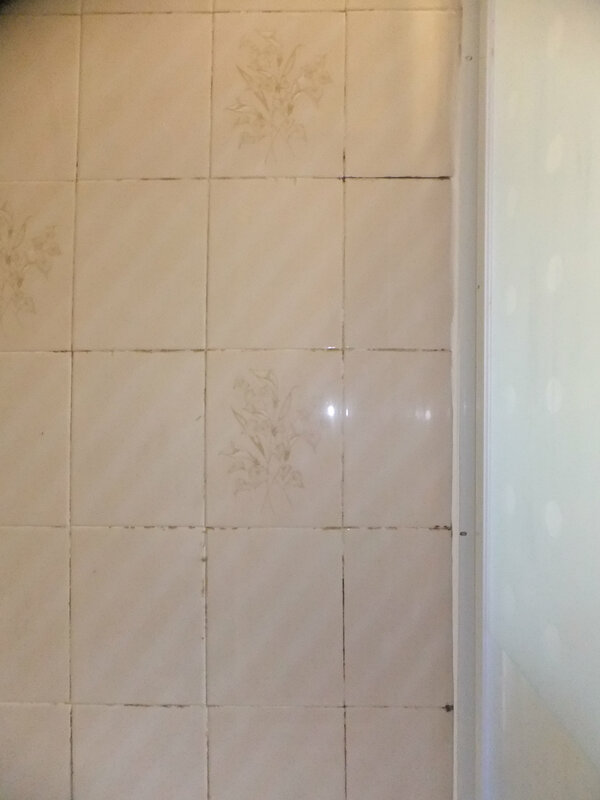 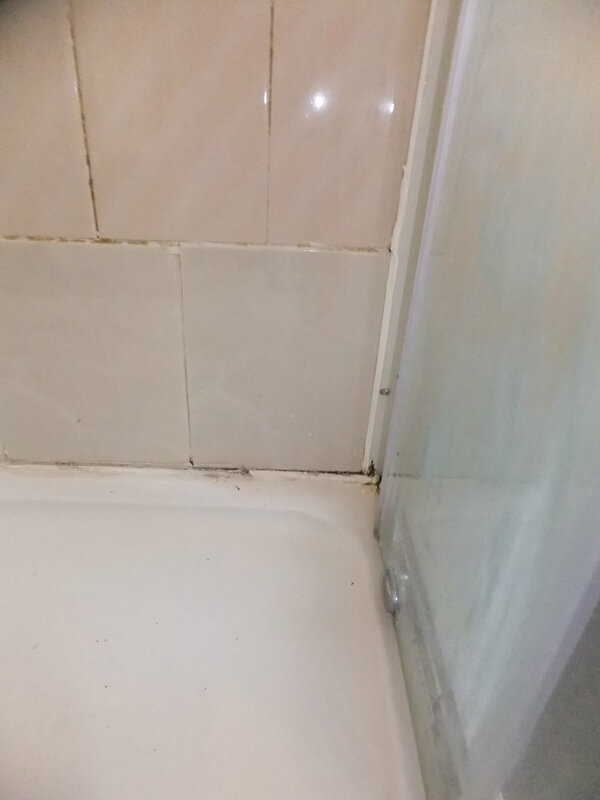 The four photos show the before and after pictures of the left and right bottom corners (usually the worst) of a quadrant shower cubicle. 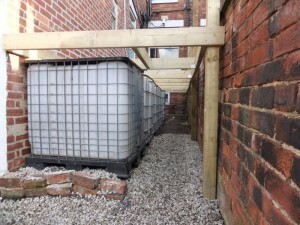 As an ongoing and long term project I have been installing a rainwater harvesting system for a Bed & Breakfast business. Currently there are seven toilets connected to 21,000 litres of stored, filtered rainwater. 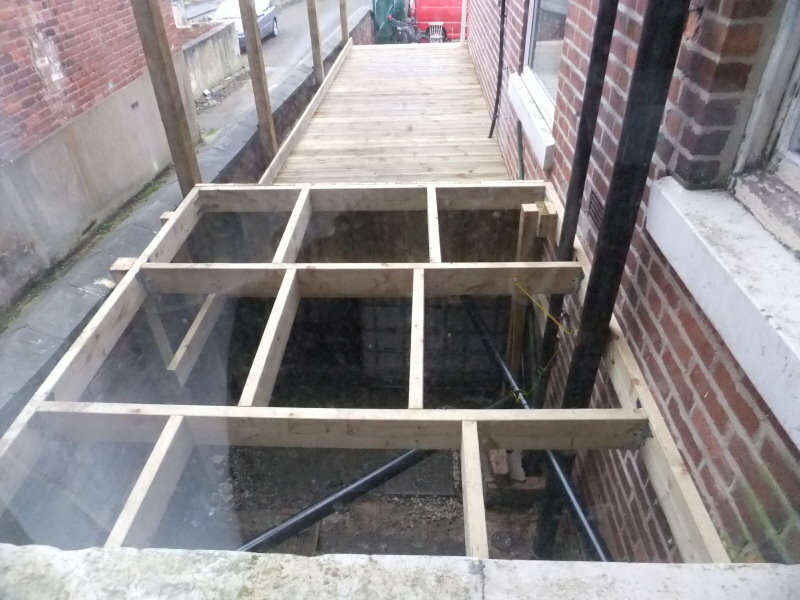 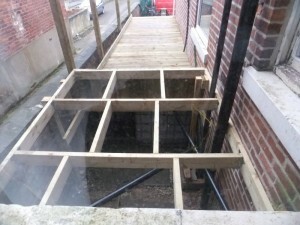 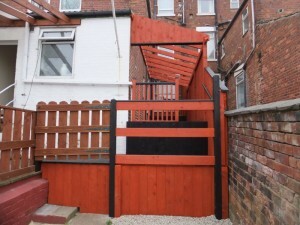 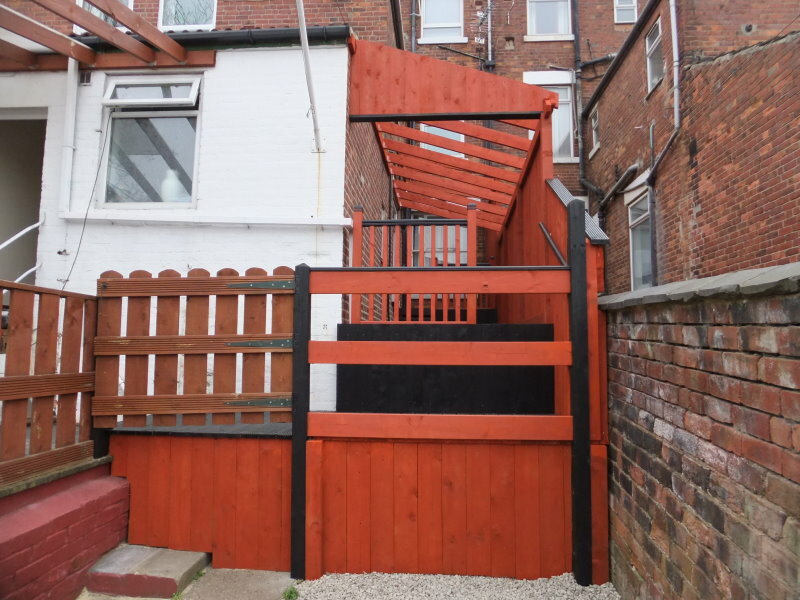 Recently I have helped build new decking to the property which is nicely hiding 6,000 litres of water capacity. 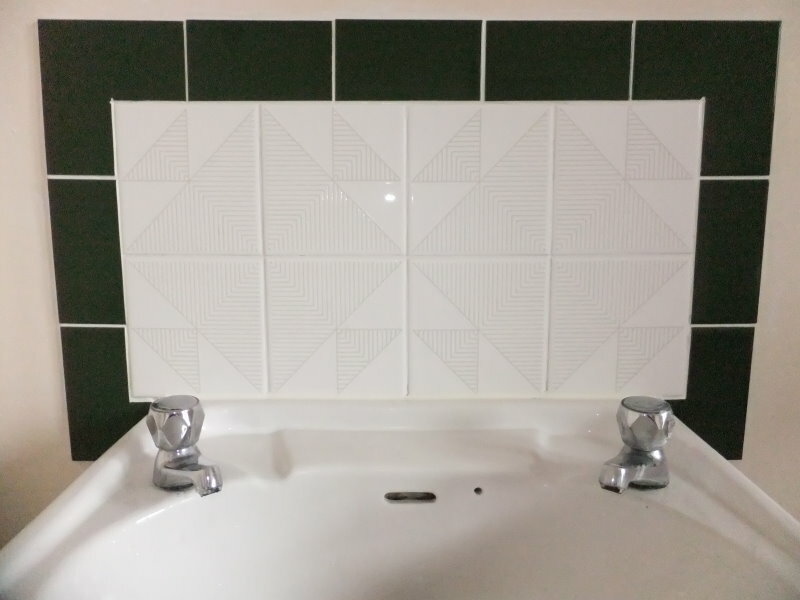 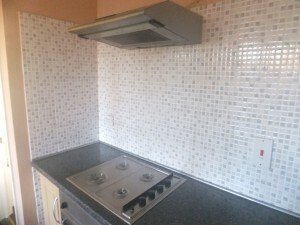 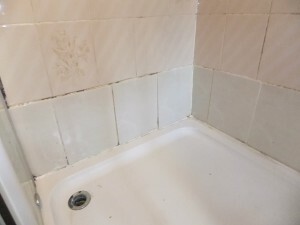 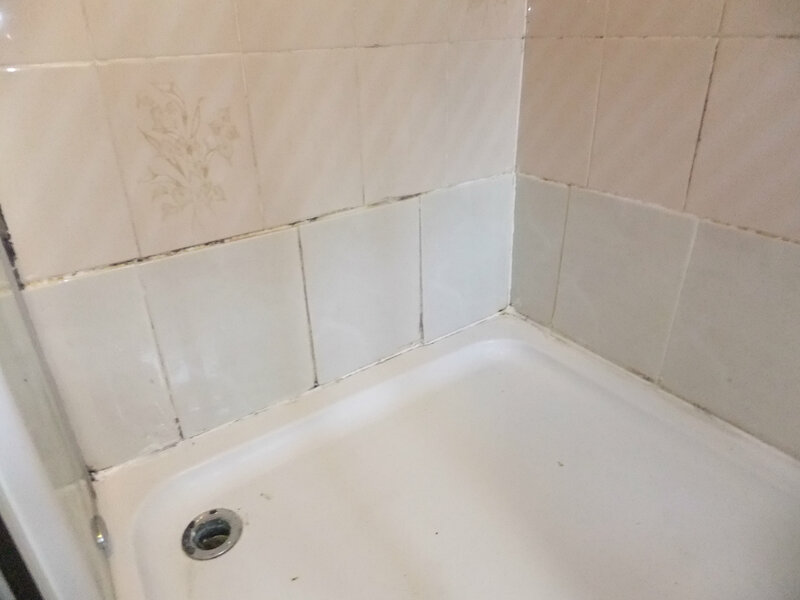 Partial re-tiling of a kitchen. 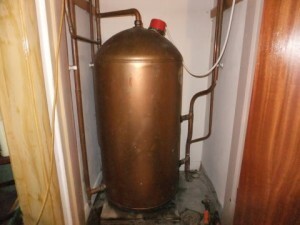 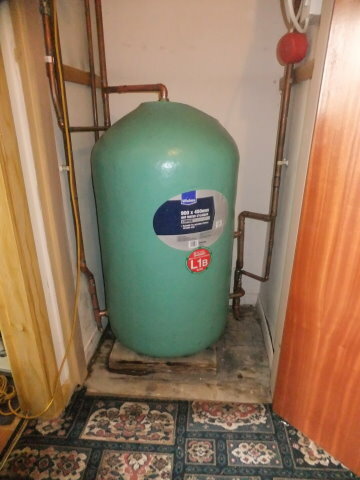 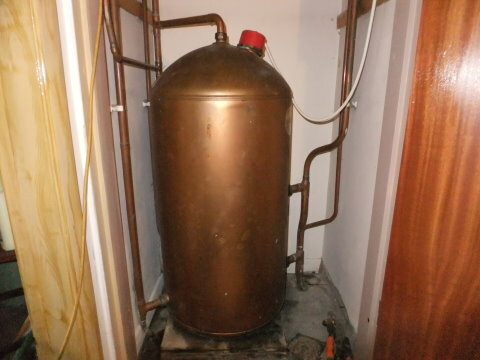 Replacing a leaky hot water tank. 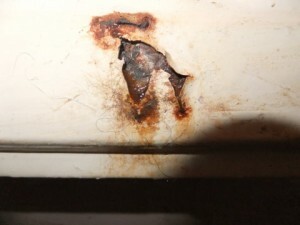 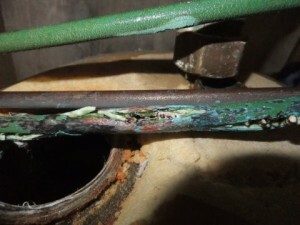 Some more corrosion, this time an immersion heater element. 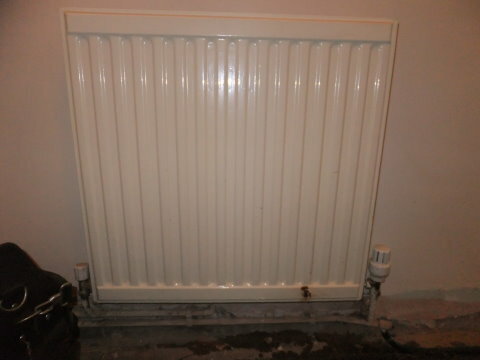 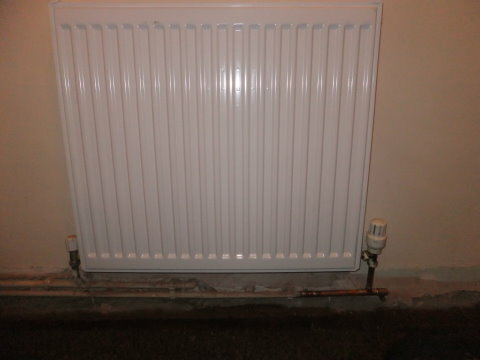 Even radiators corrode given enough time. 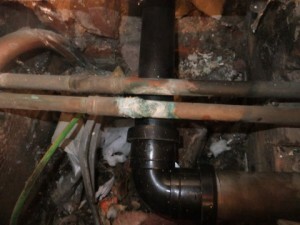 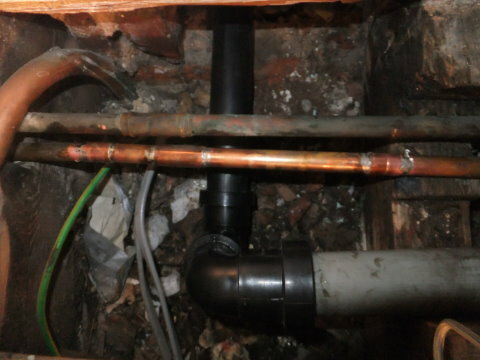 A small leak, left for long enough, can cause a lot of damage. 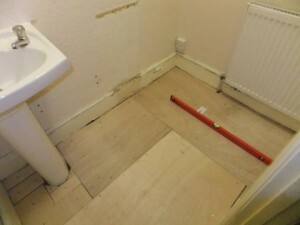 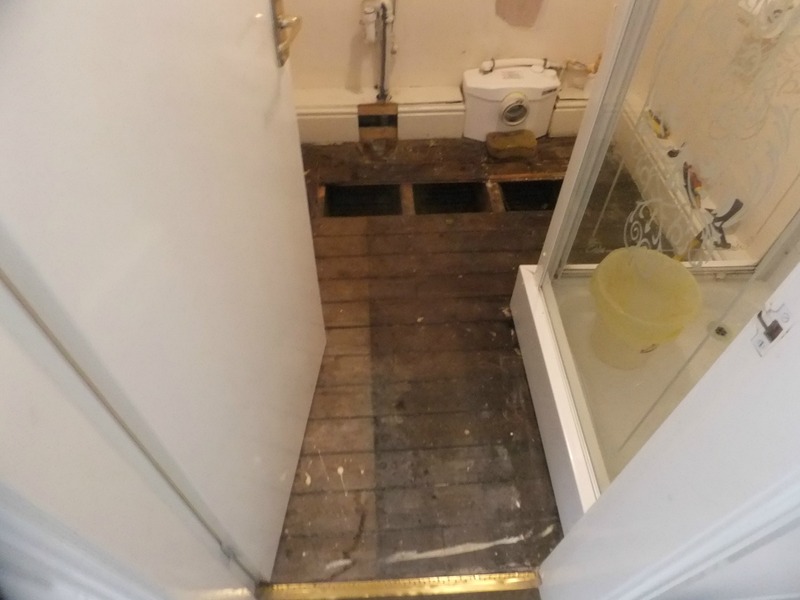 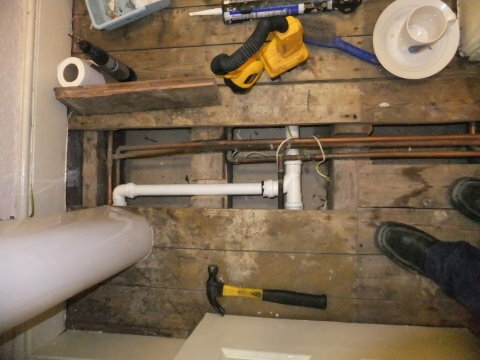 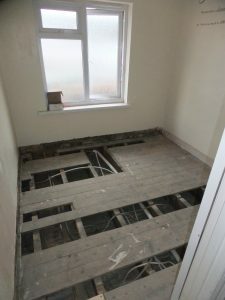 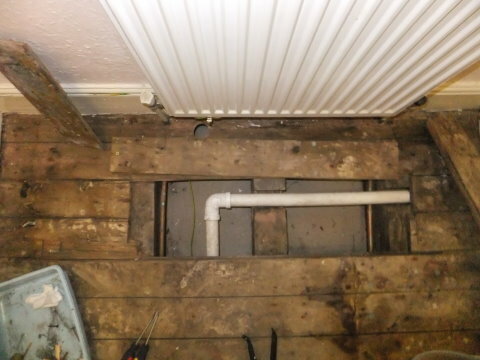 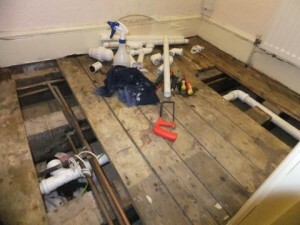 Tiling a small shower room floor, and moving the basin waste under the floor boards. 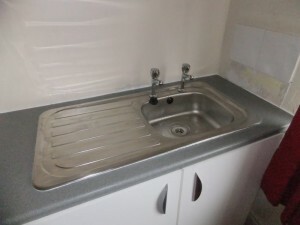 New kitchen sink and work top added. 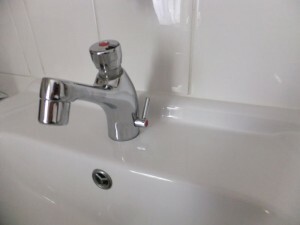 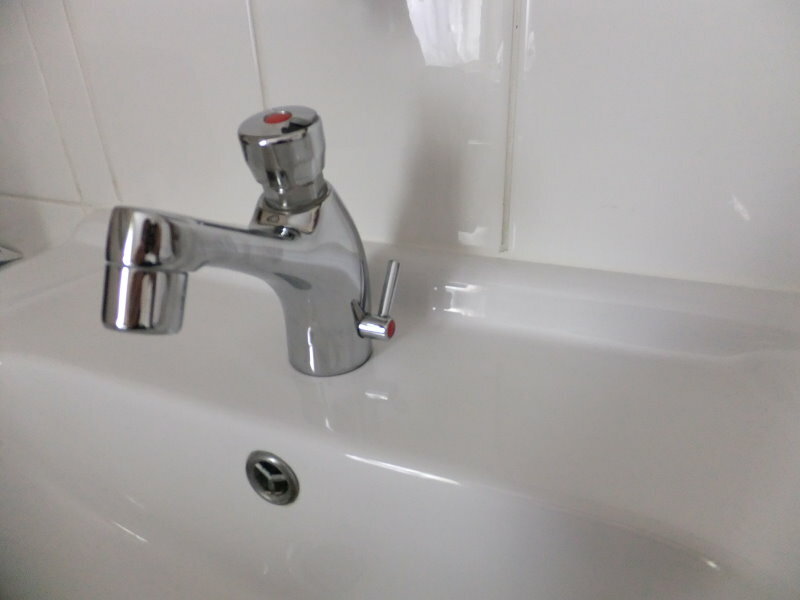 All taps in a Bed and Breakfast establishment are changed to non concussive to avoid wasted water and possible flooding. A tiled basin splash back.